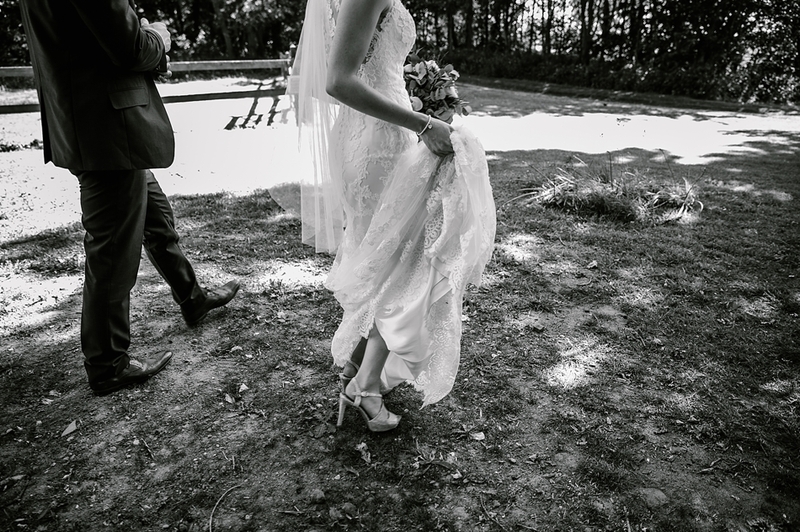 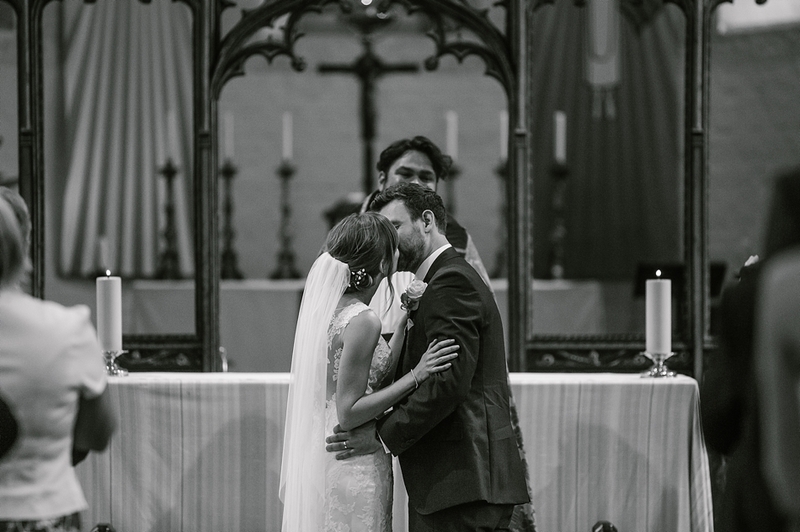 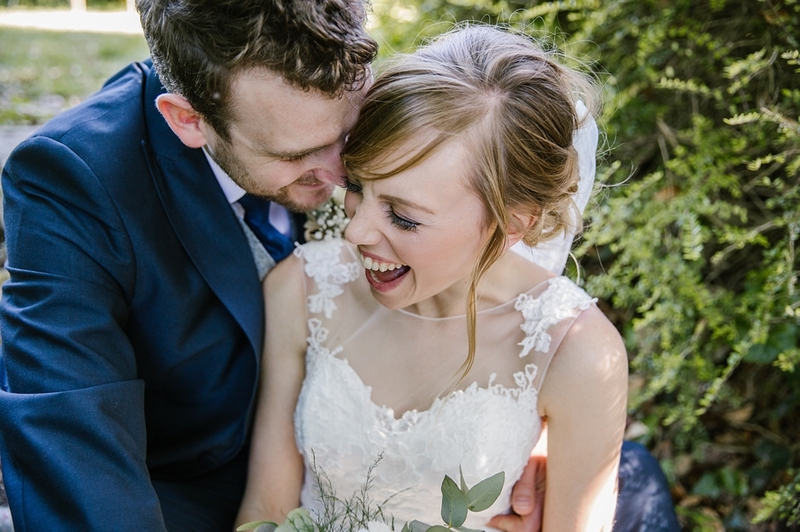 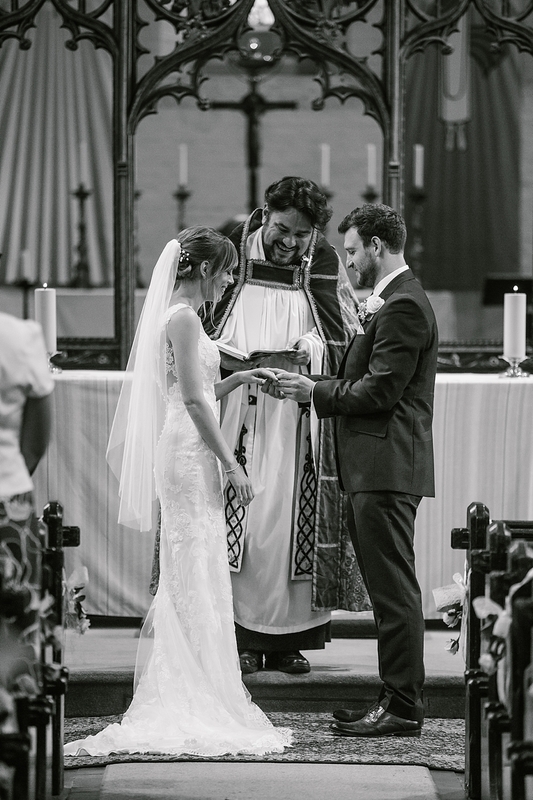 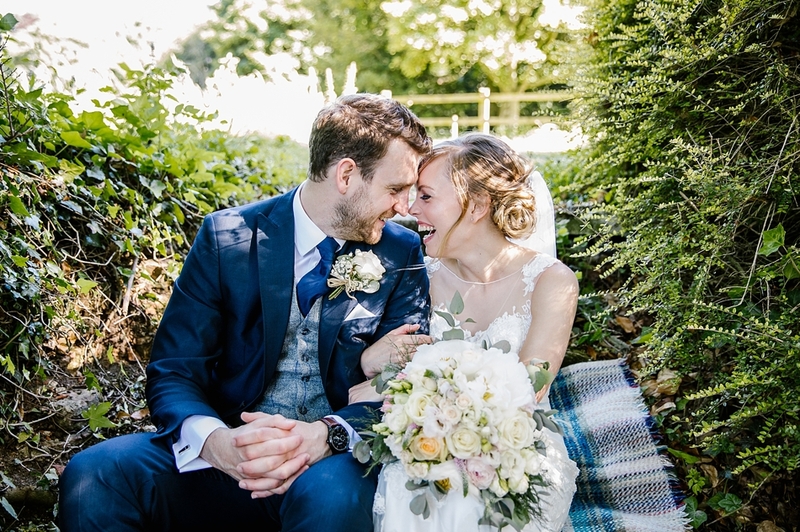 I can’t believe this wedding was over 18 months ago but its one I always new I wanted to share! 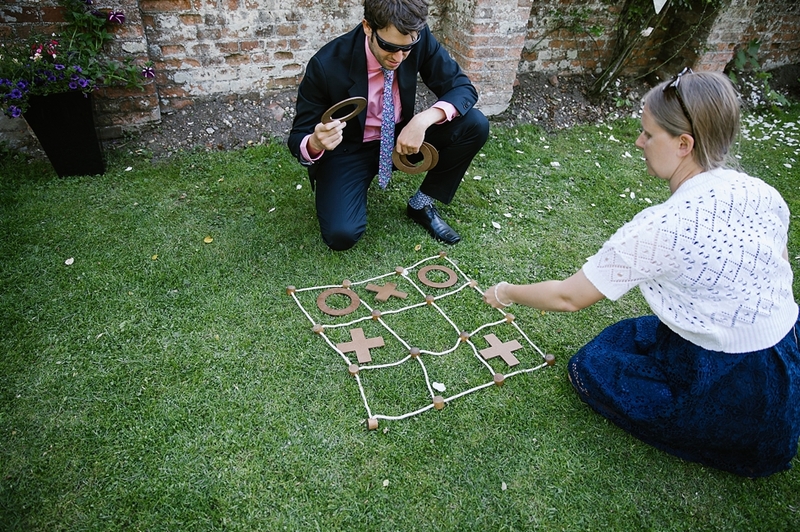 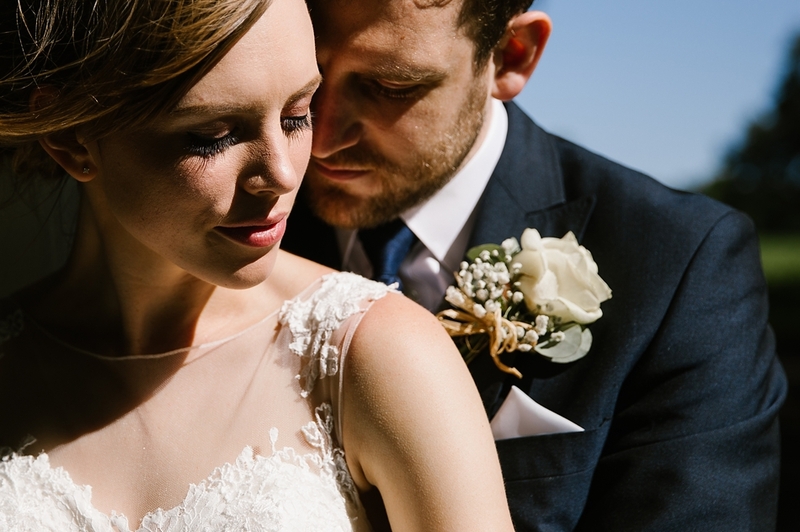 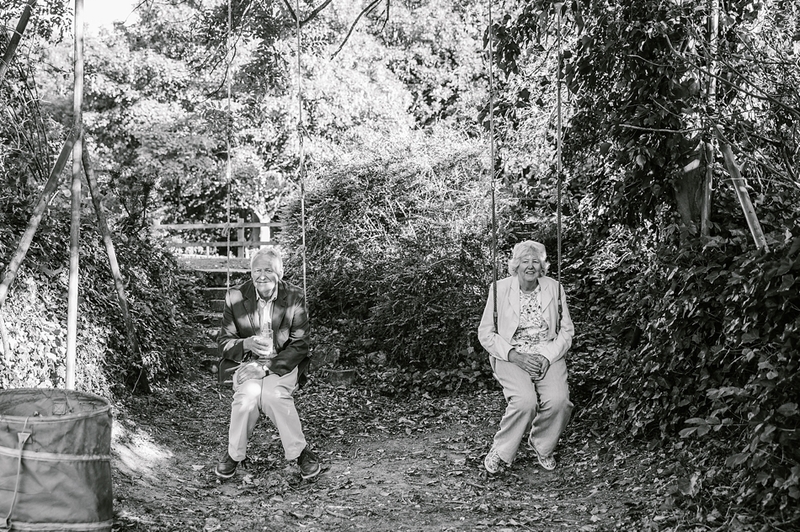 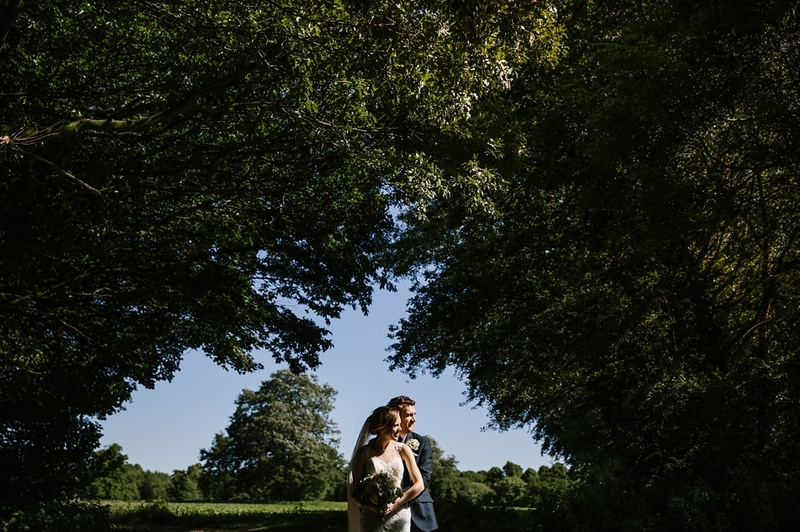 Phil and Lou had the most relaxed and fun sunny day at the glorious Spxworth hall and cottages, a venue I had shot a few years earlier but one I sadly haven’t been back to since! 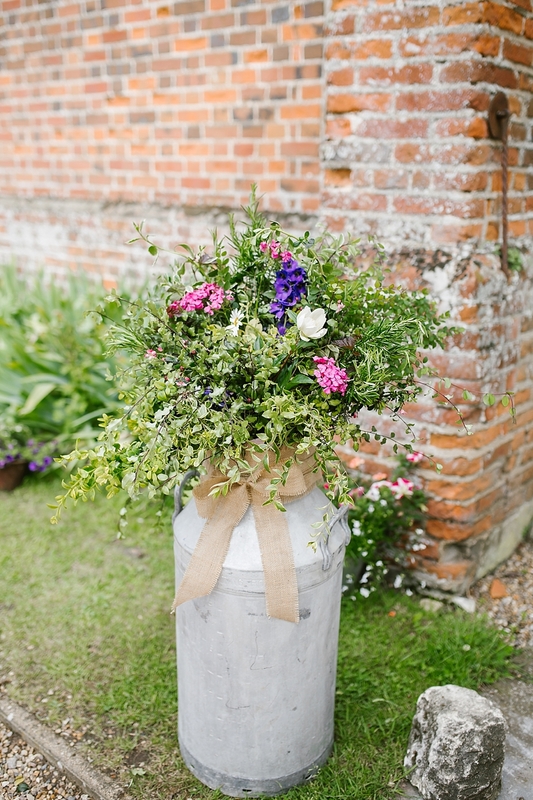 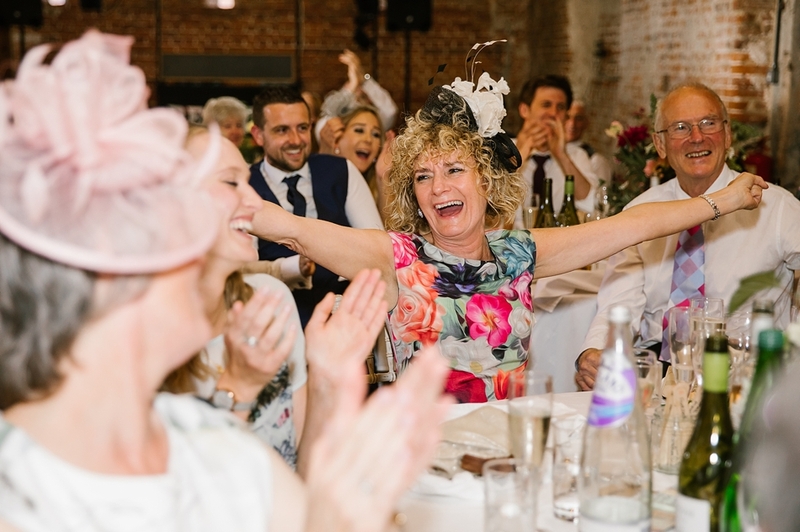 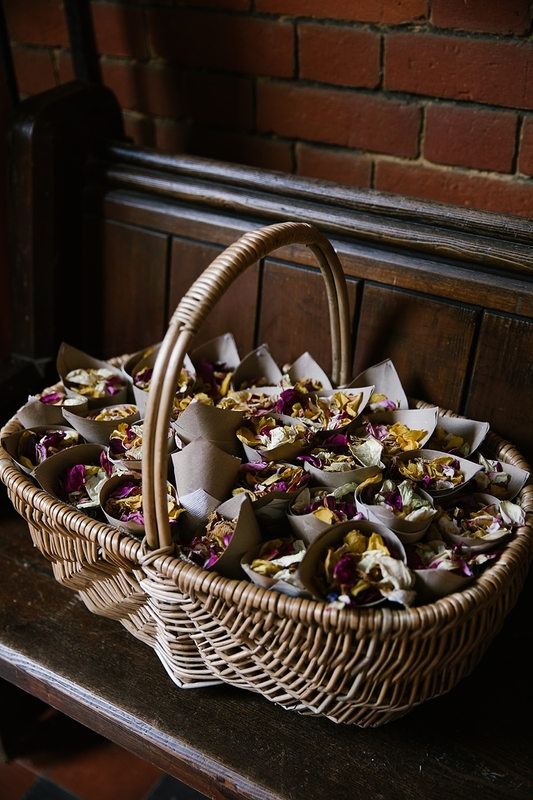 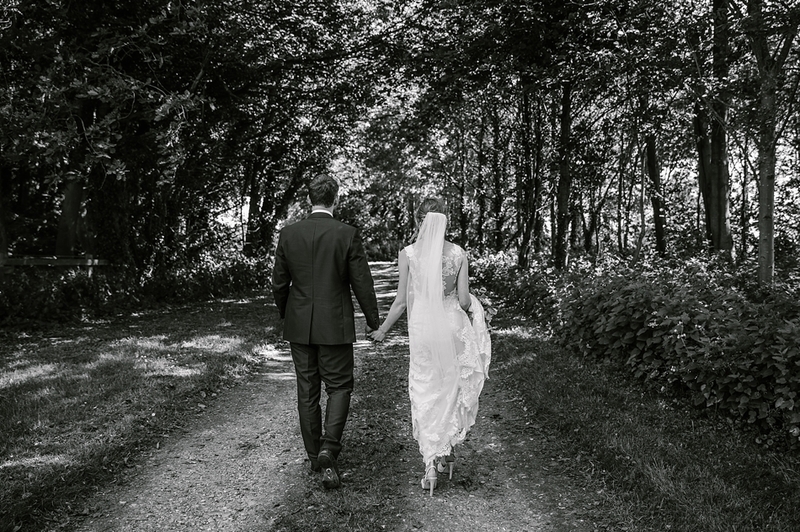 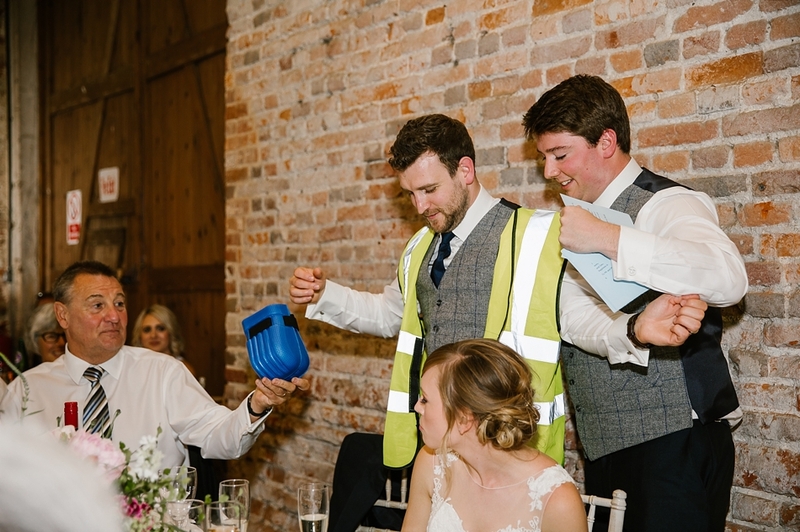 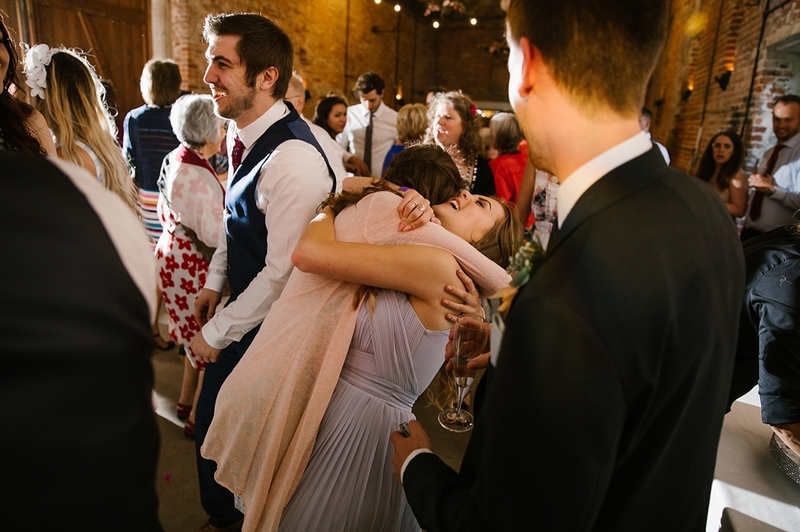 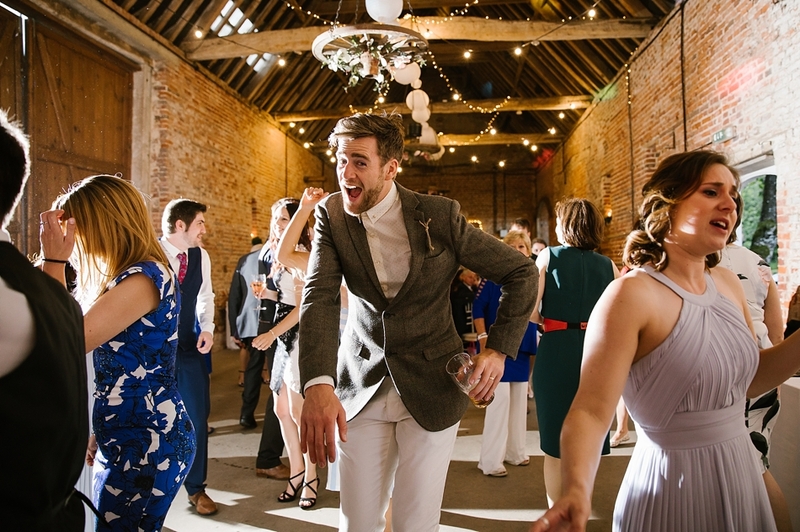 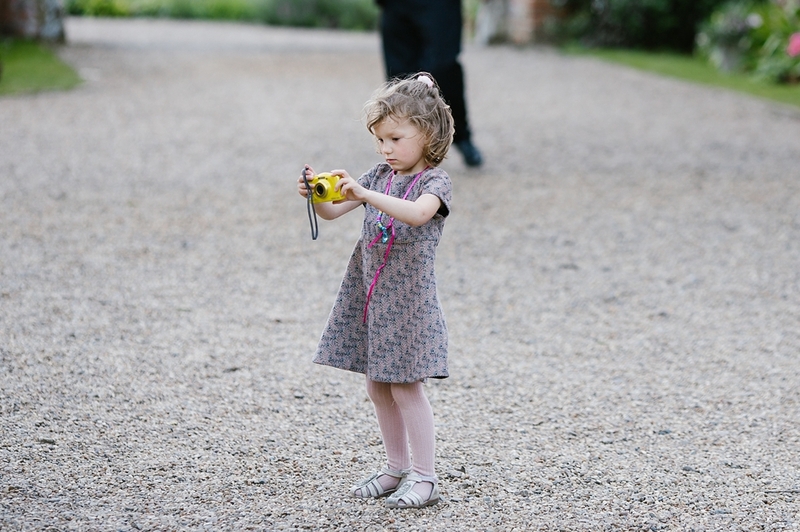 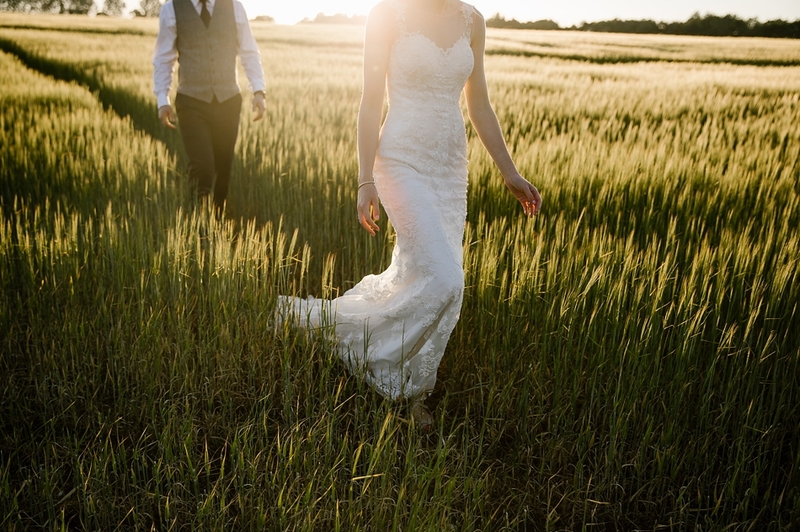 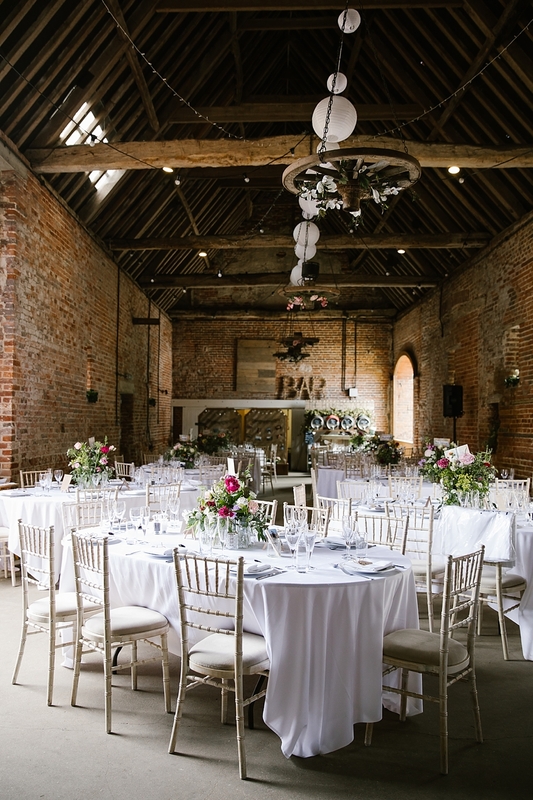 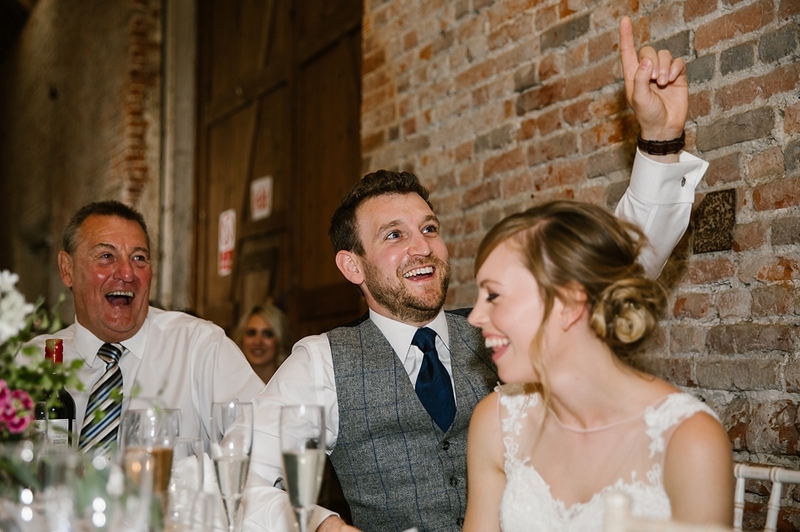 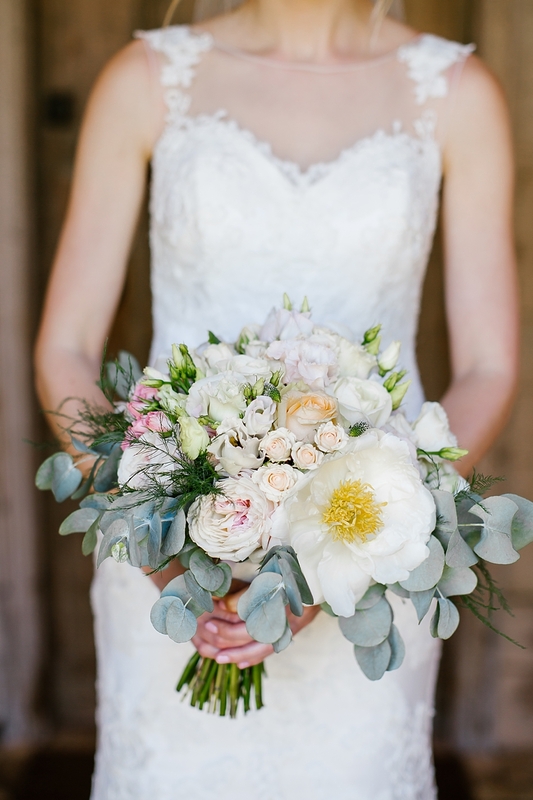 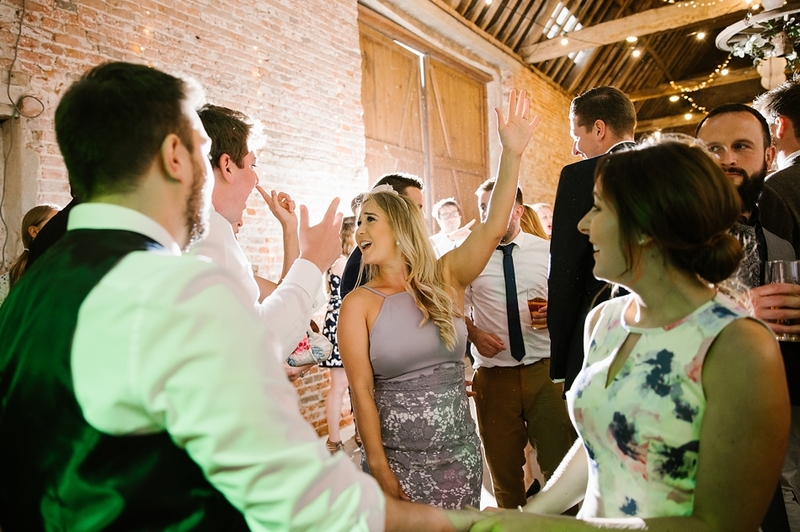 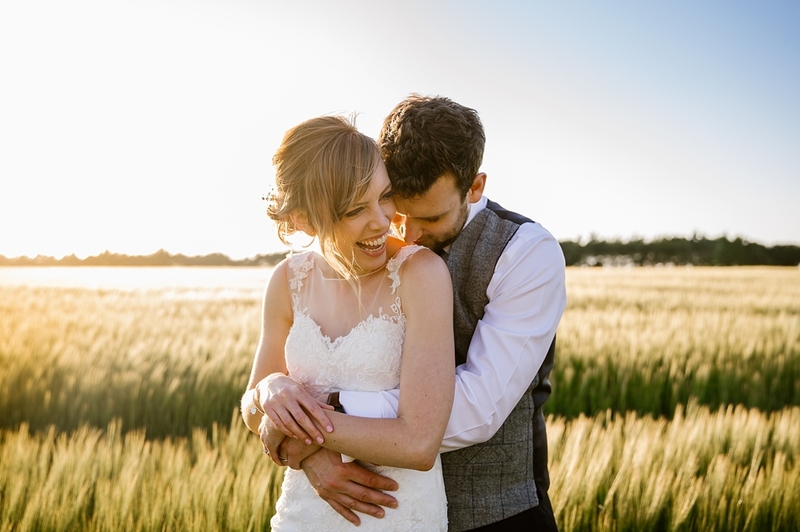 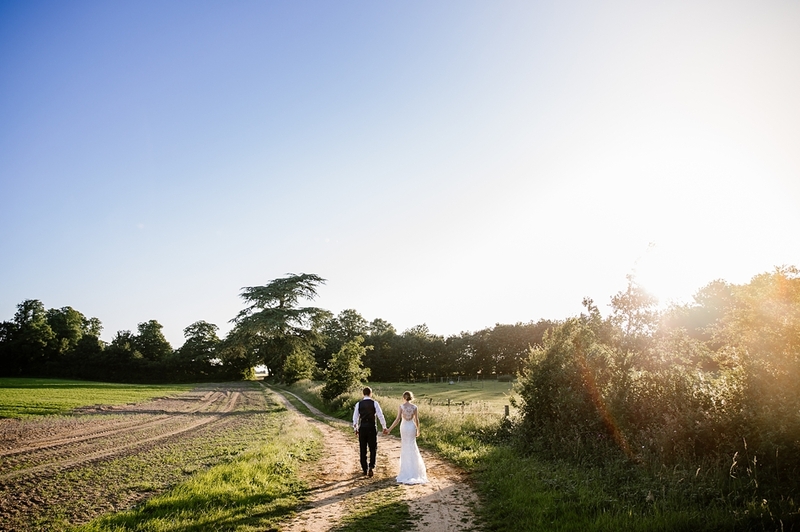 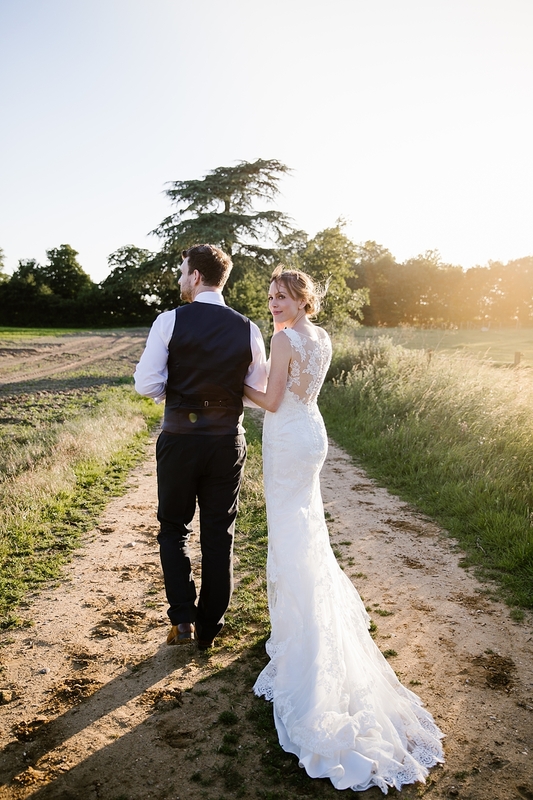 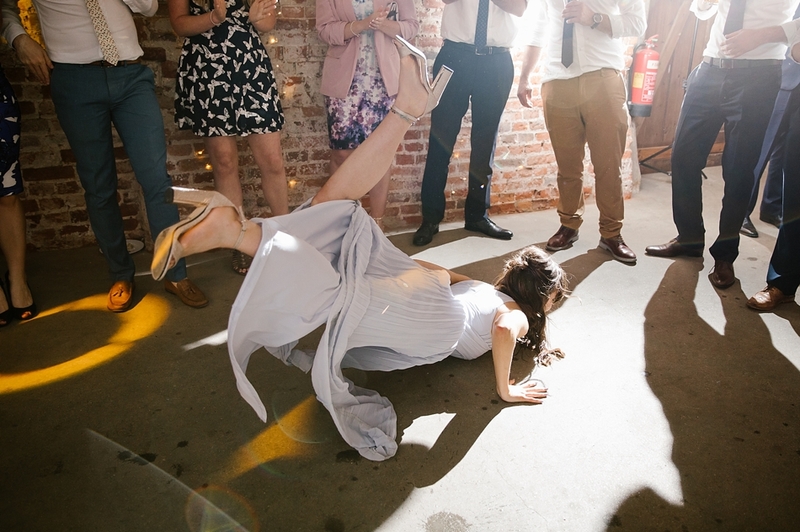 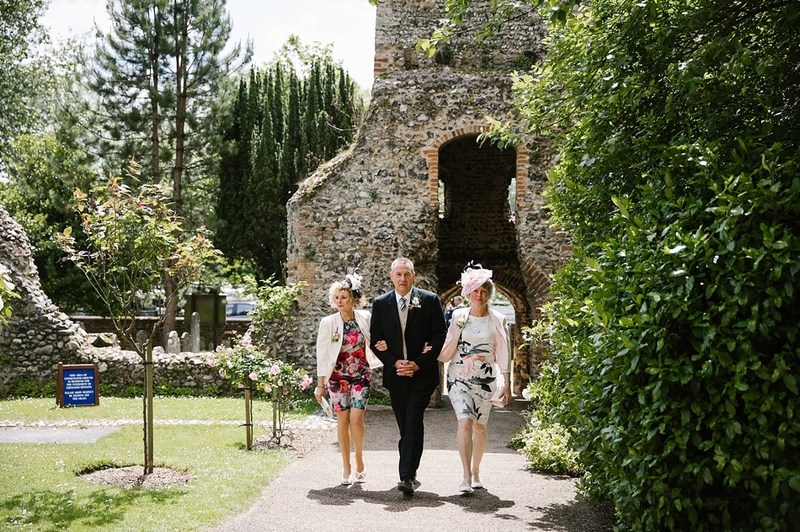 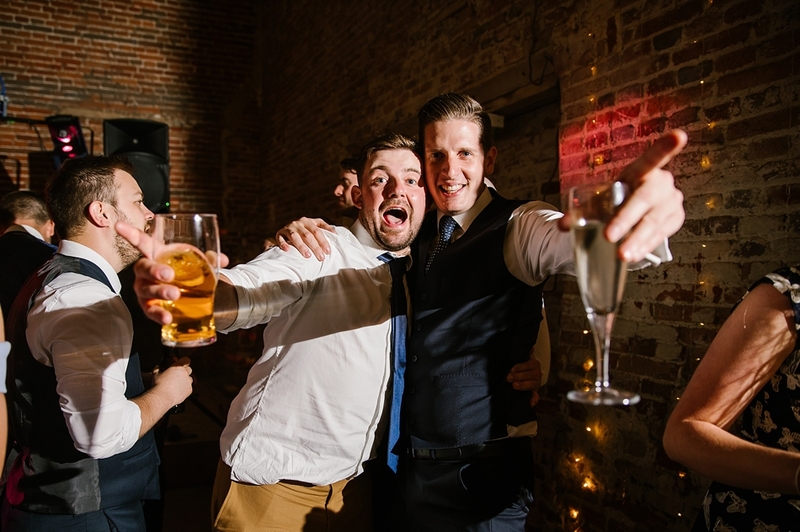 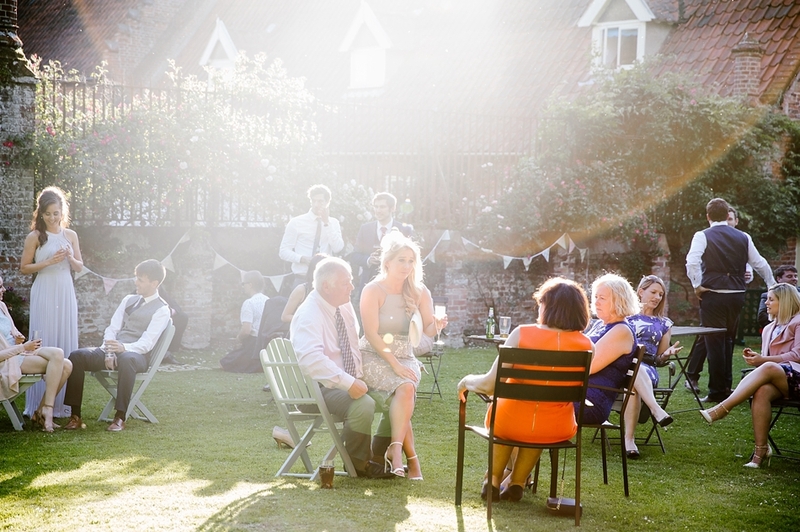 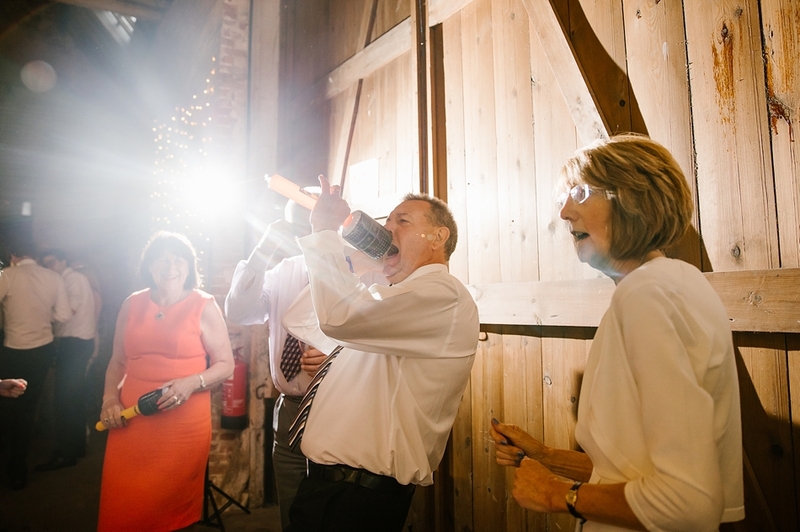 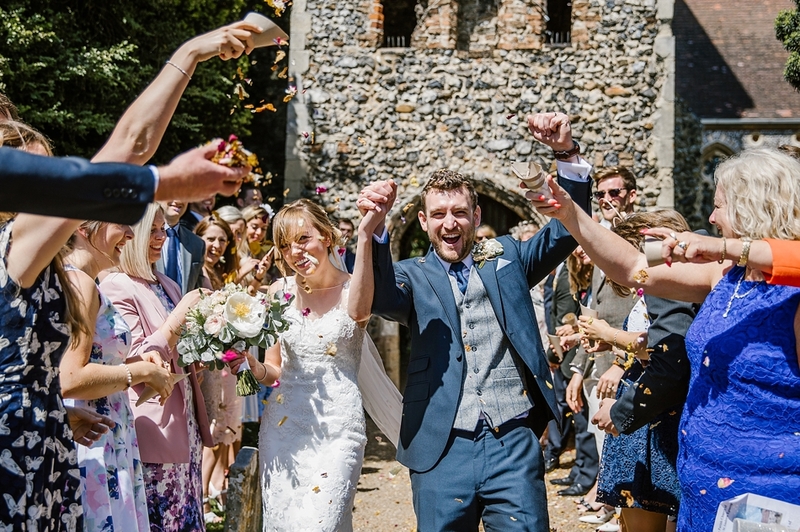 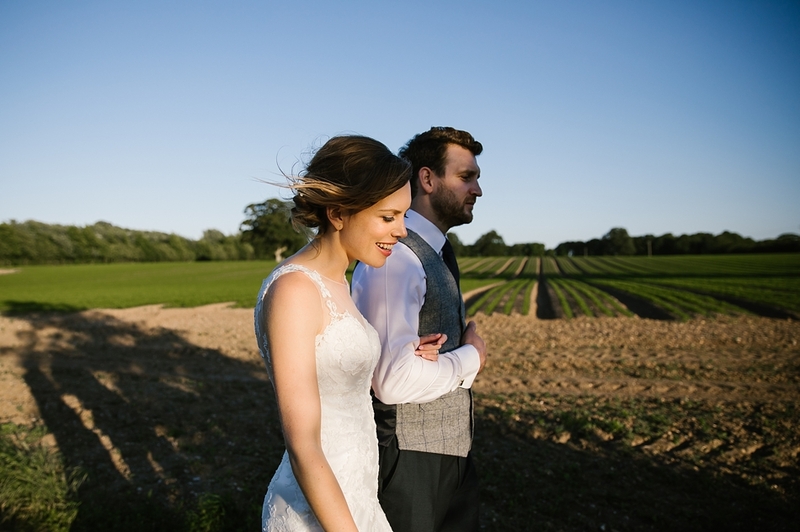 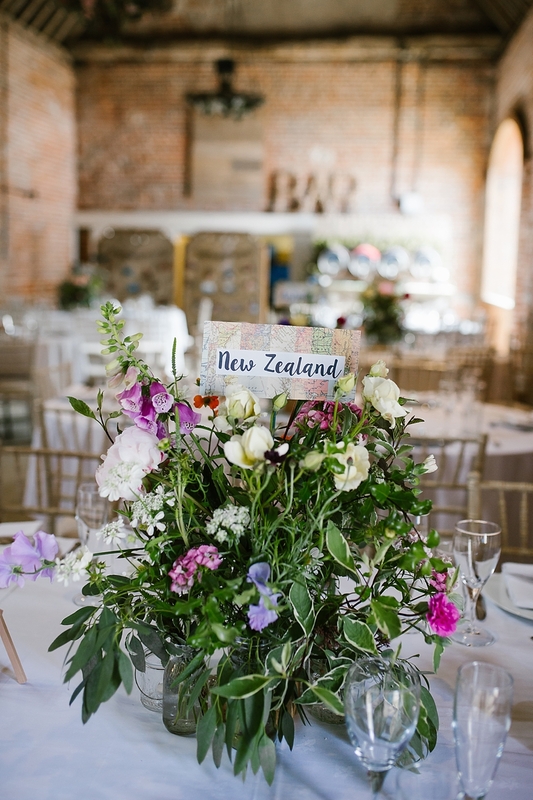 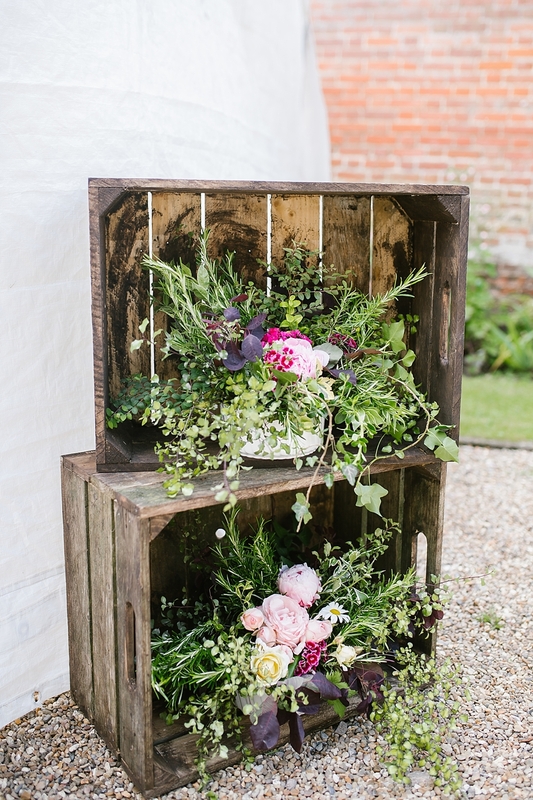 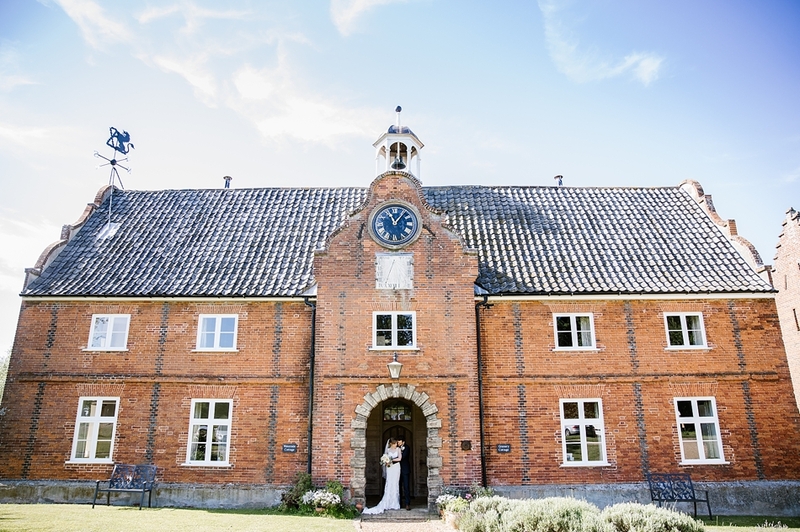 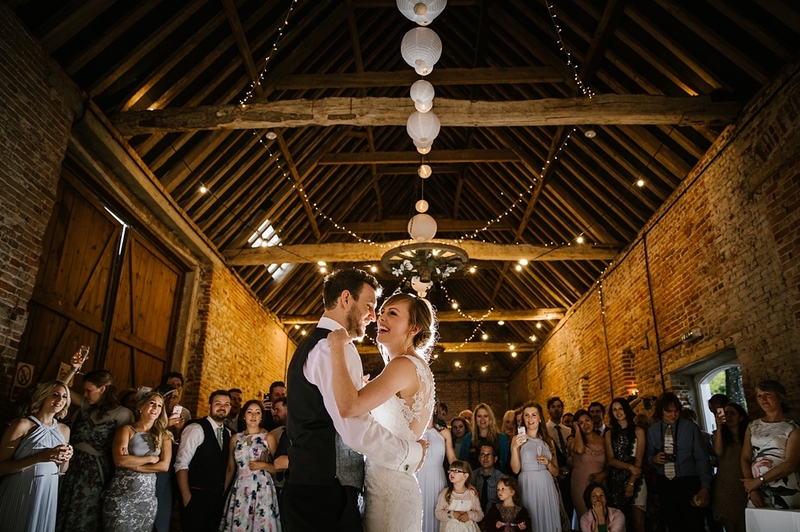 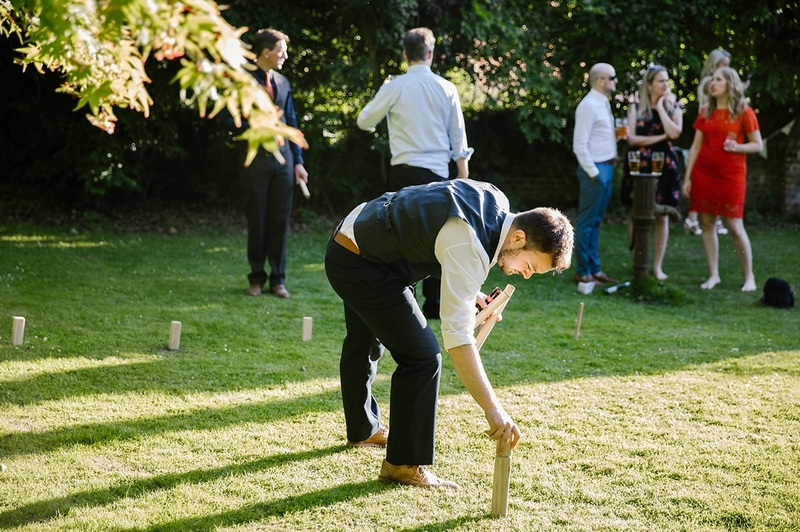 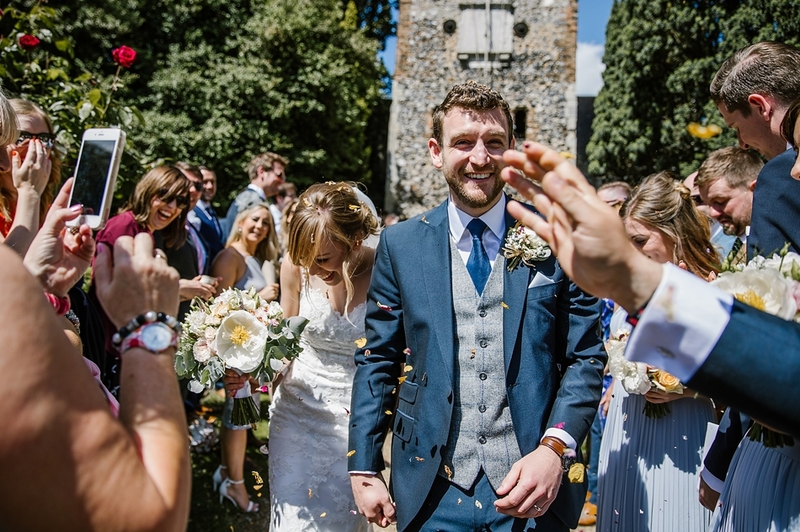 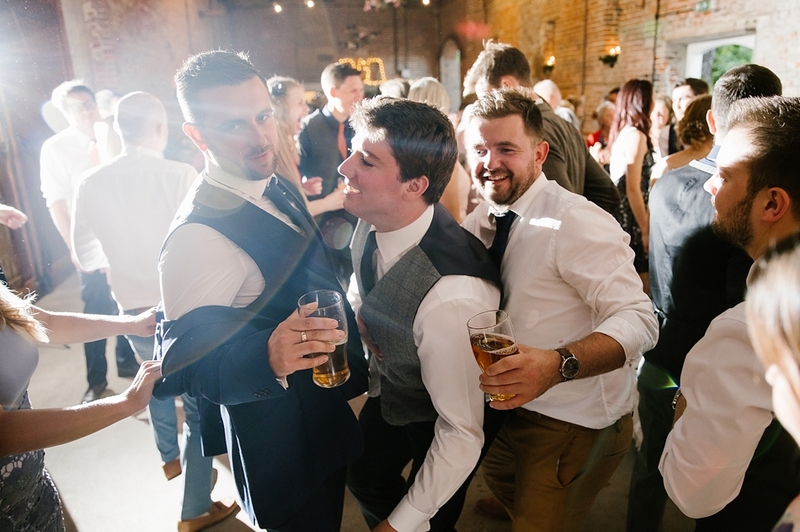 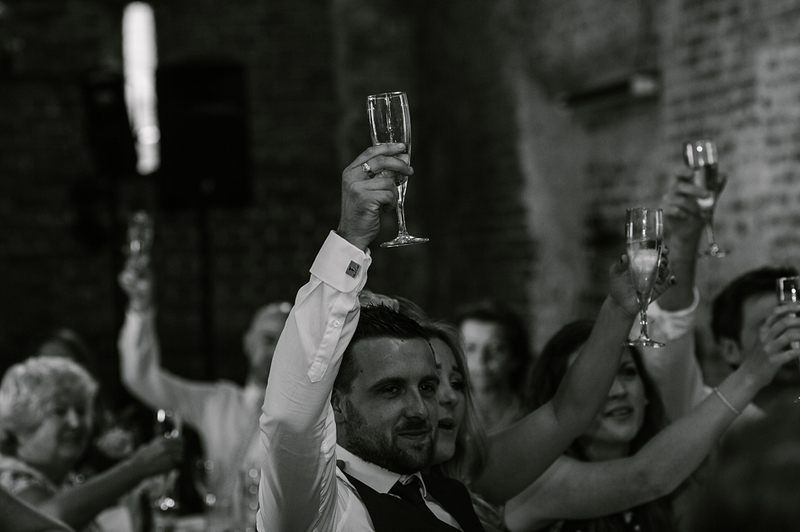 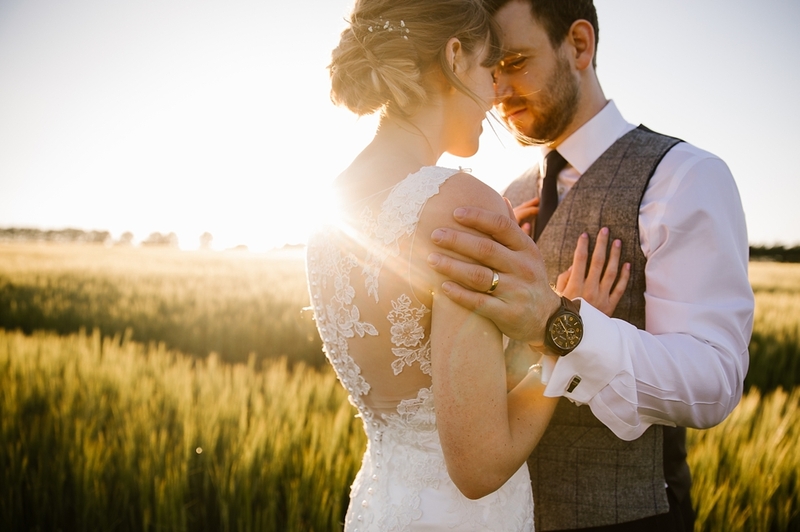 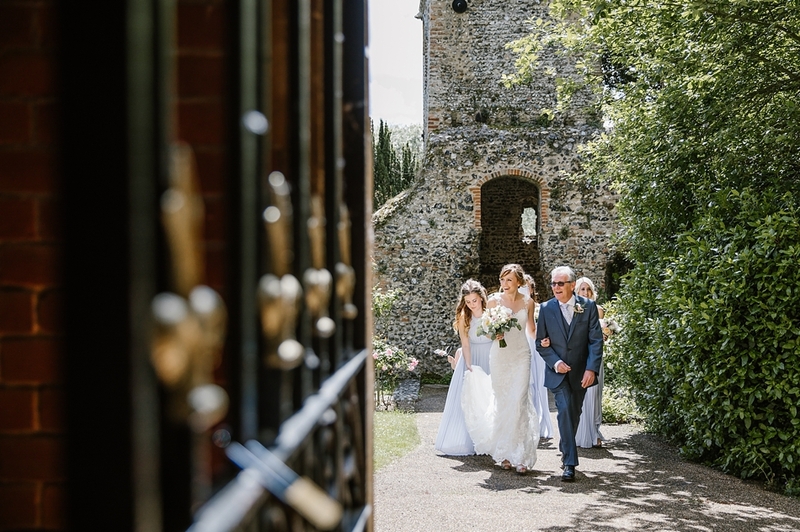 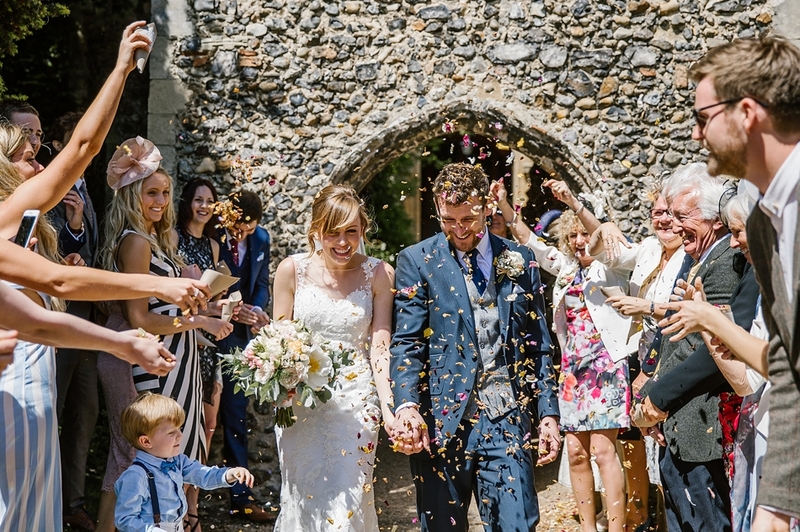 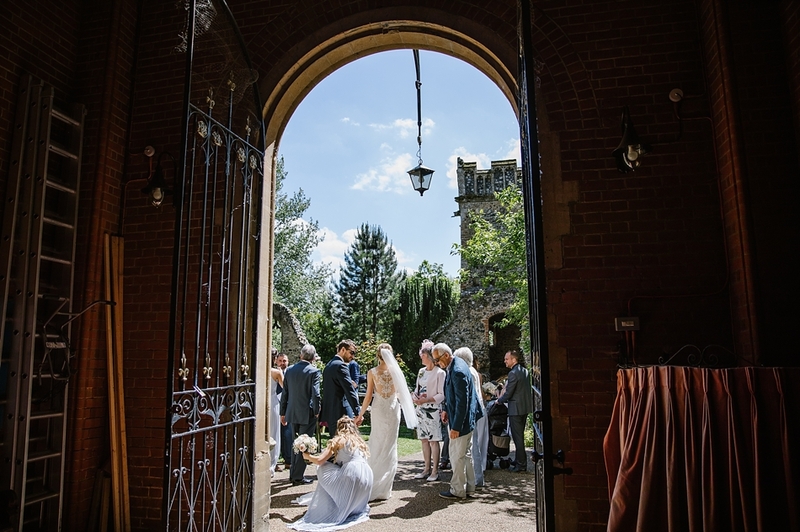 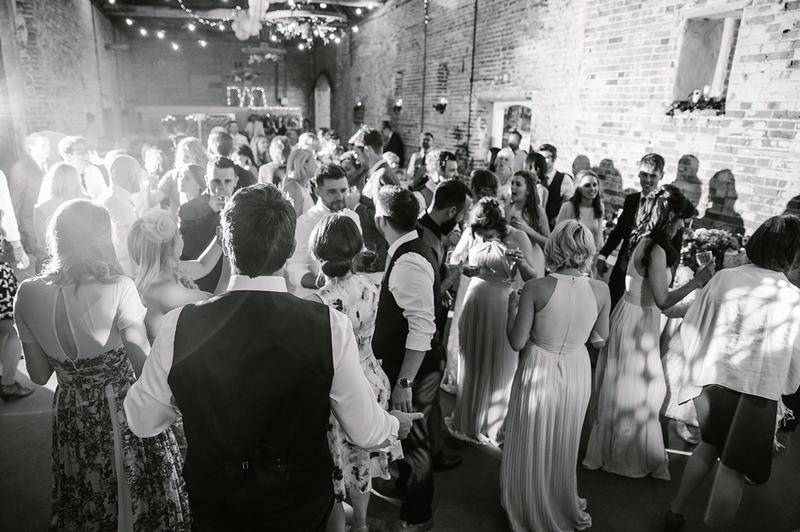 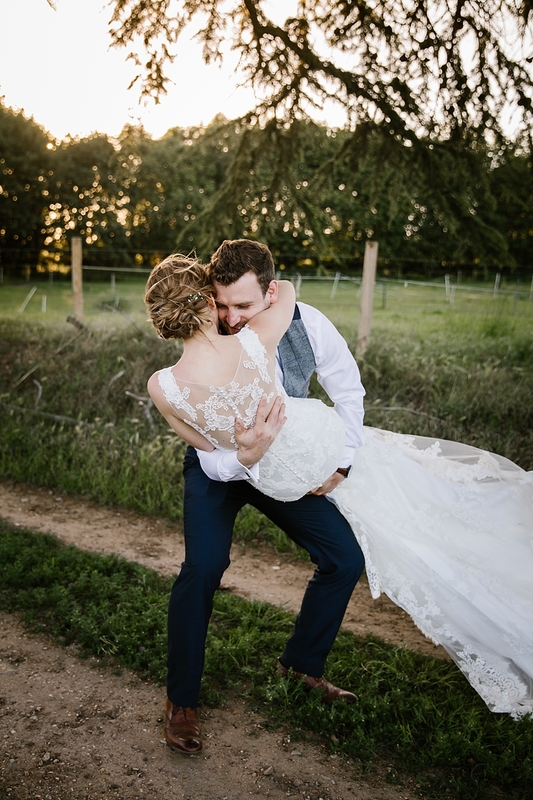 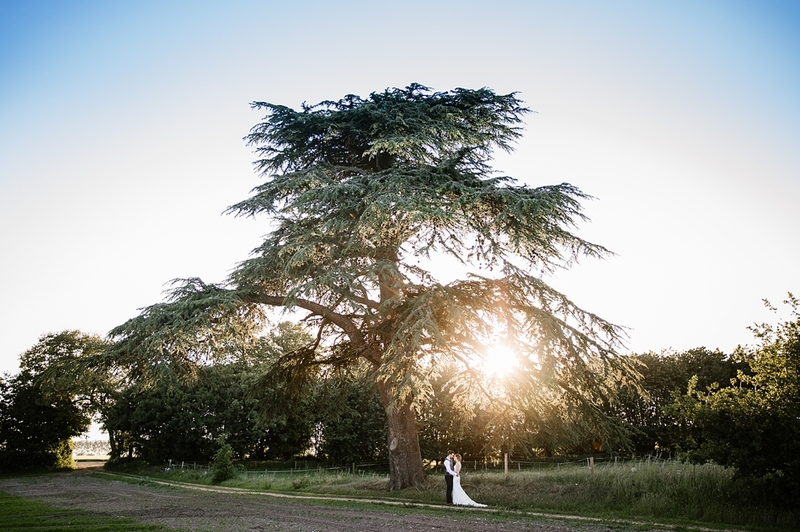 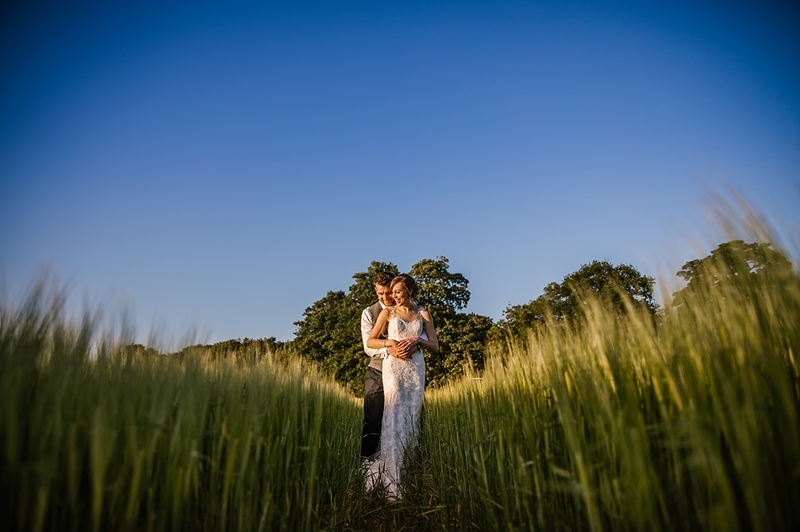 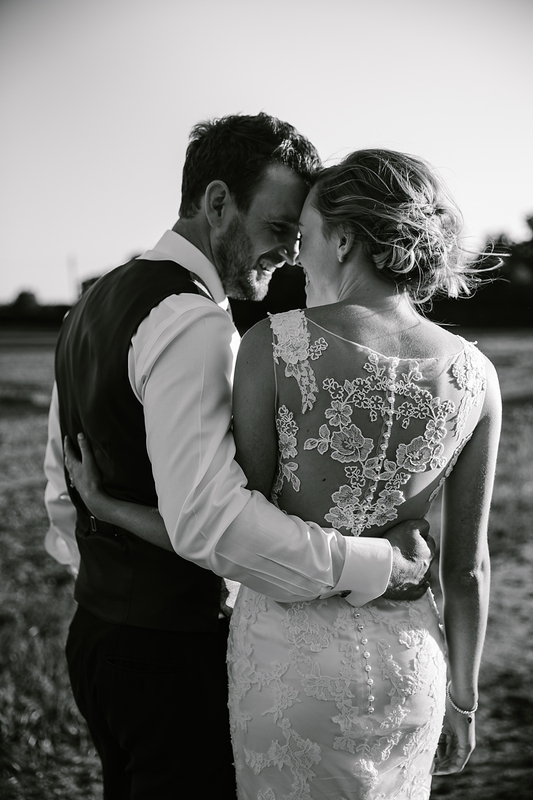 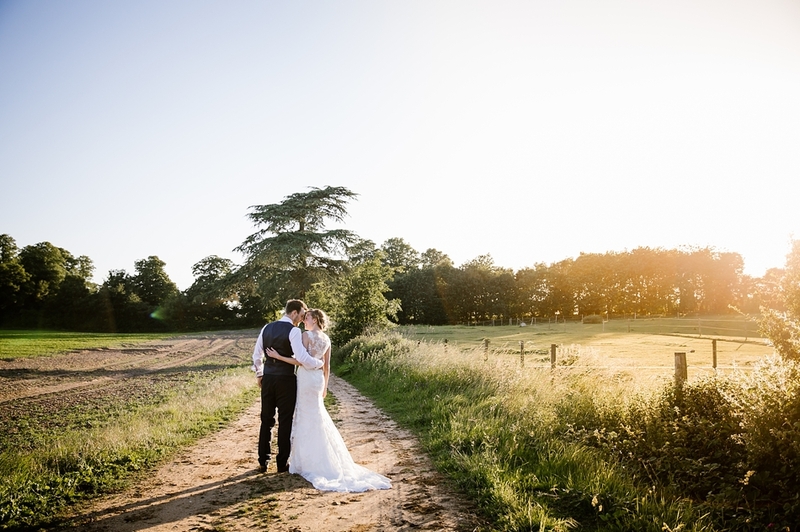 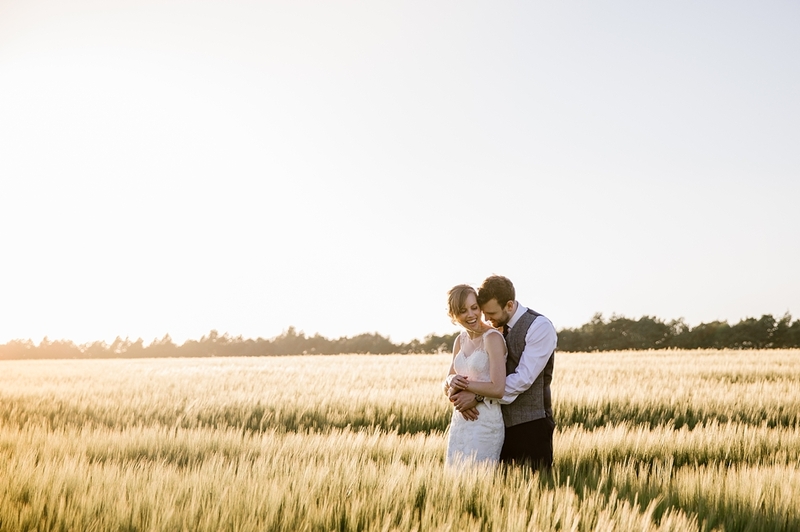 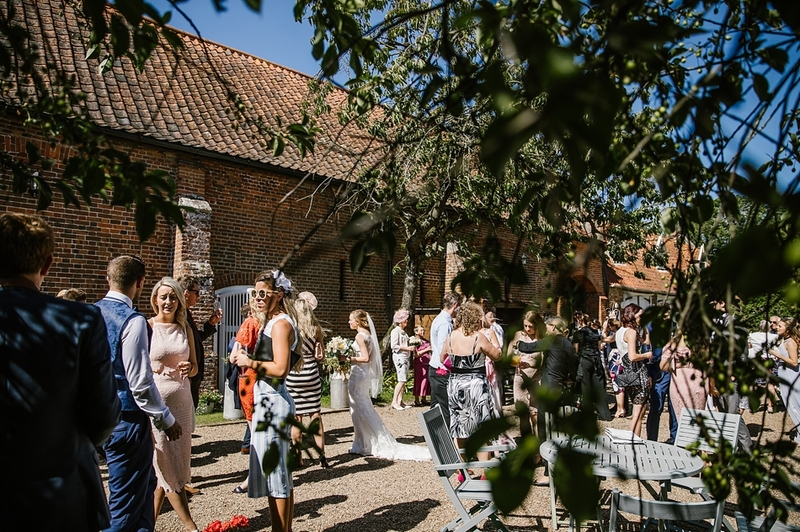 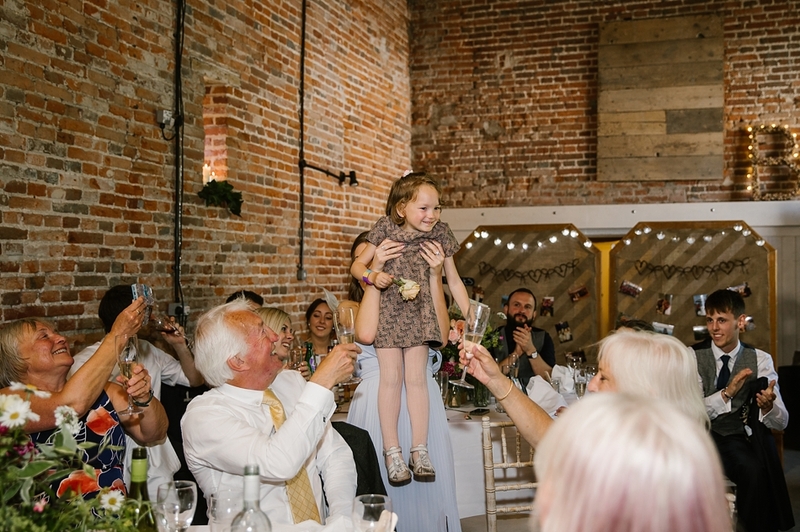 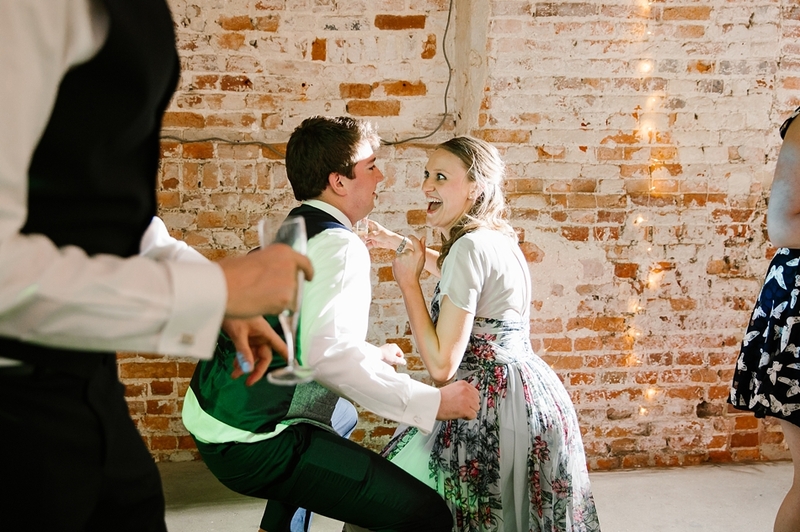 Its a fabulous countryside location so incredible for couple shots, the gardens are wonderful for lawn games and Pimms the rustic barn looks wonderful dressed with flowers and is a pretty epic part space for the evening! 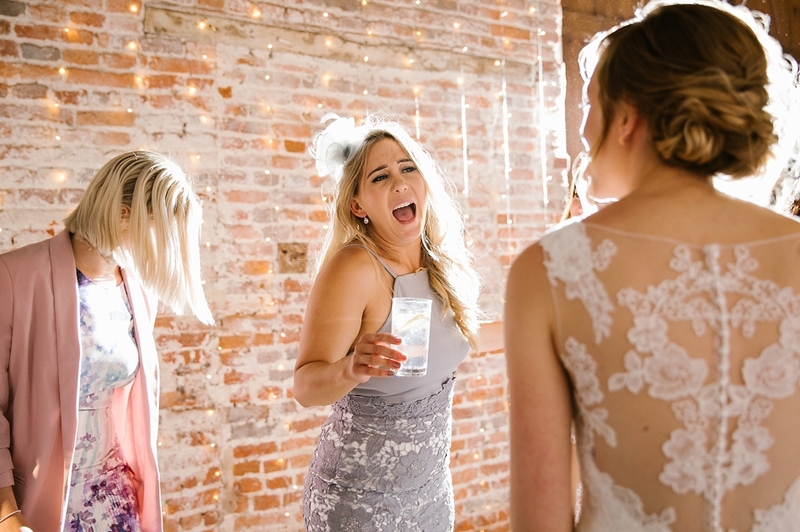 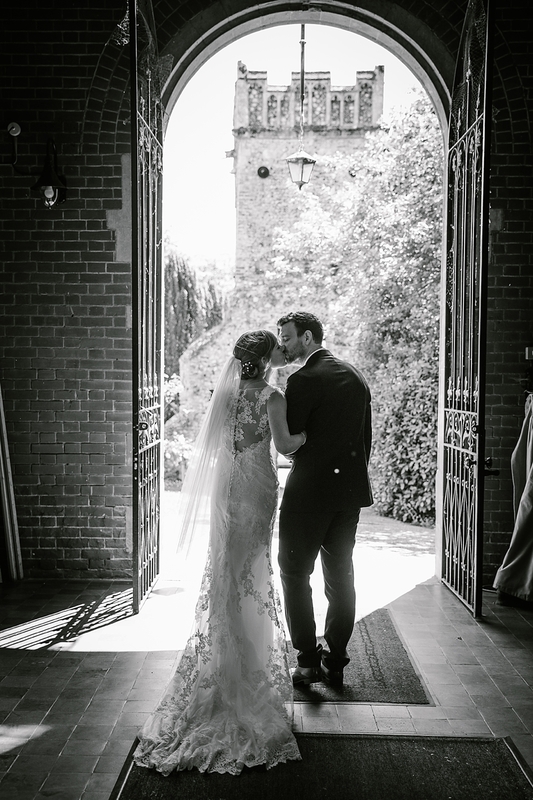 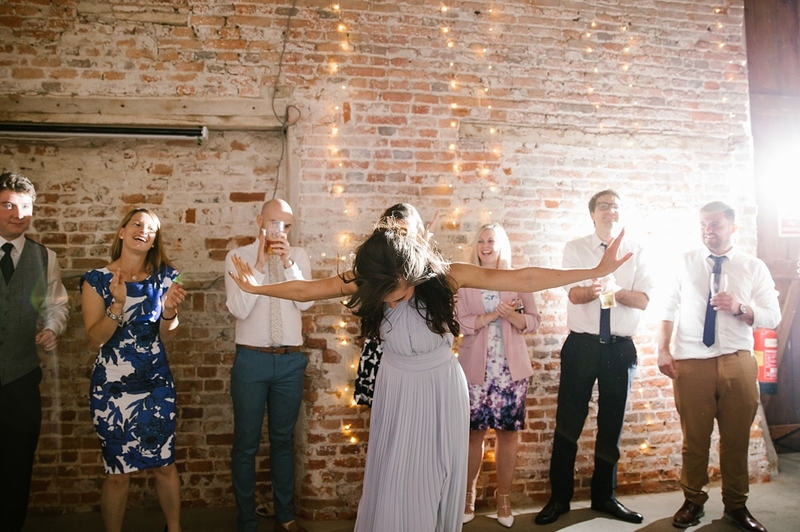 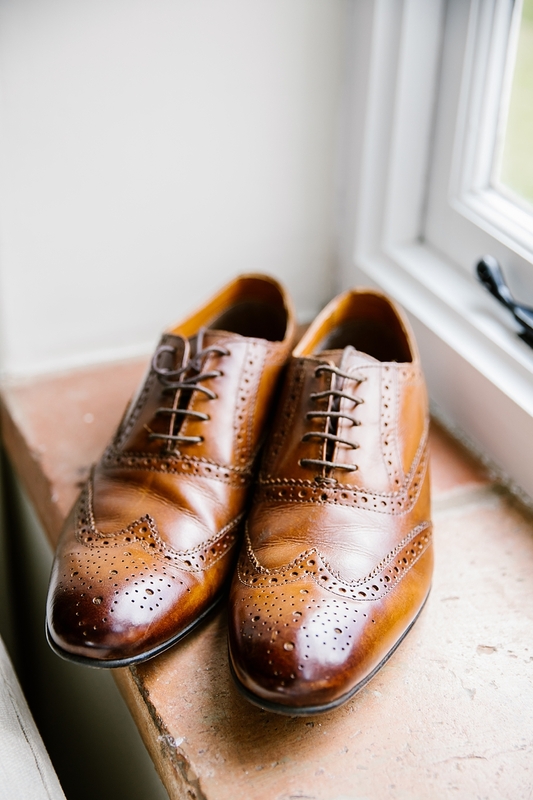 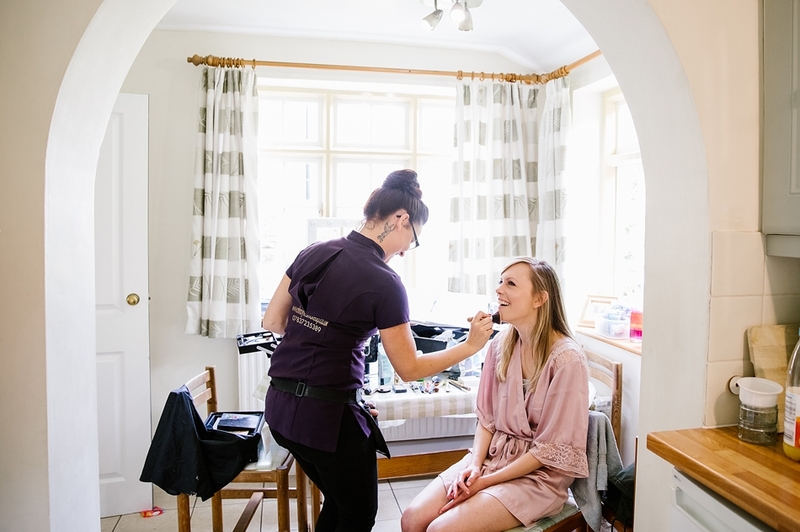 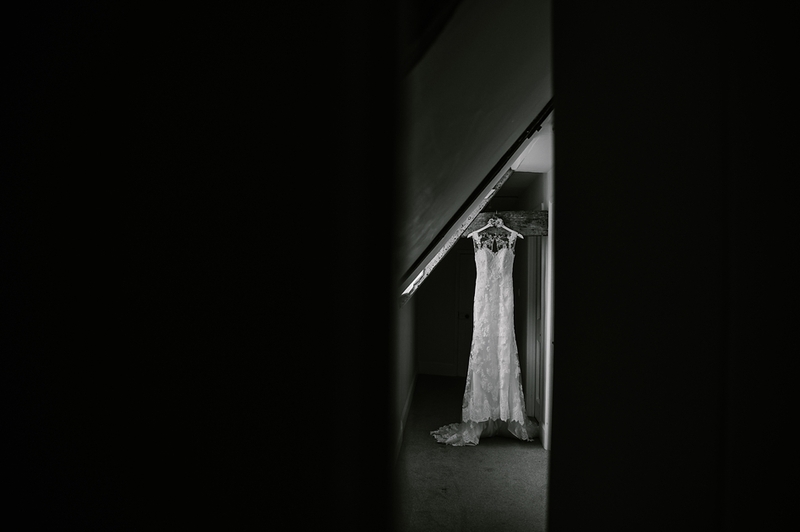 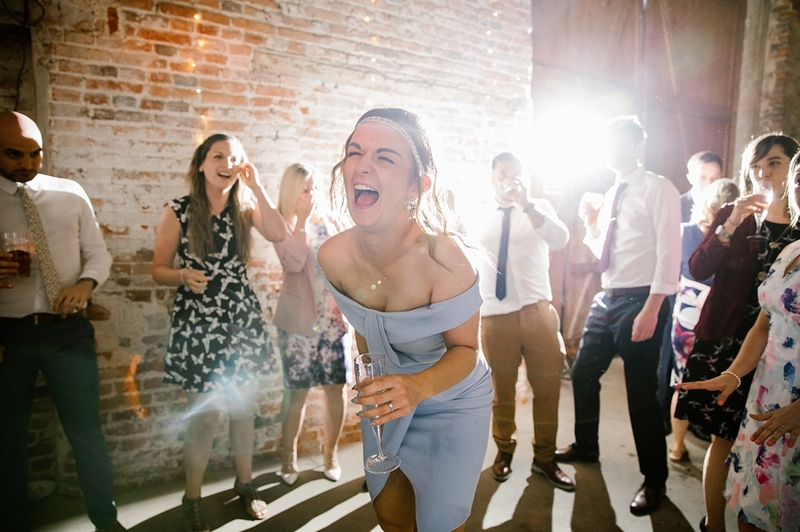 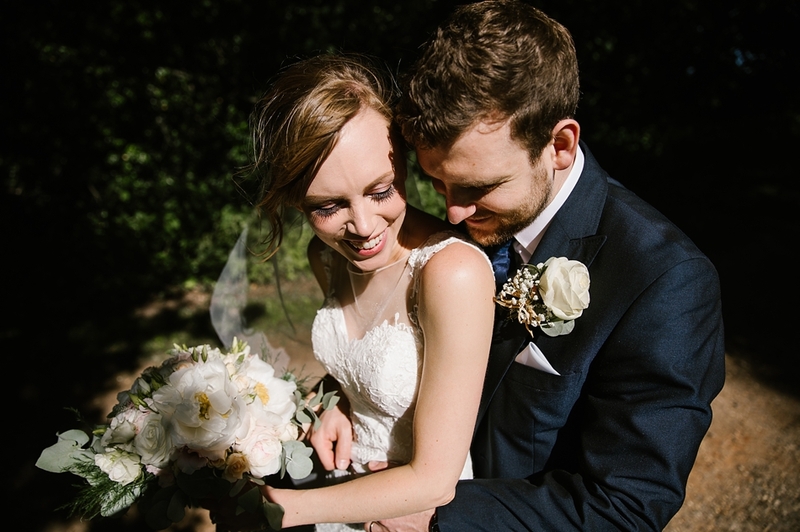 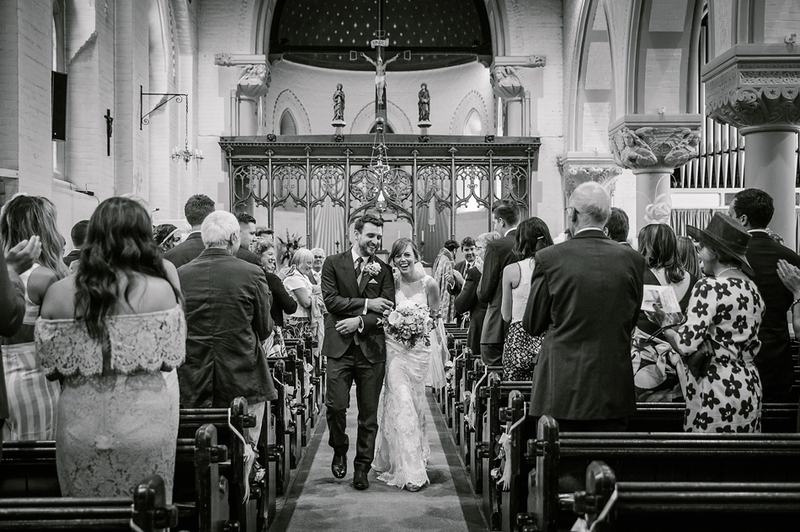 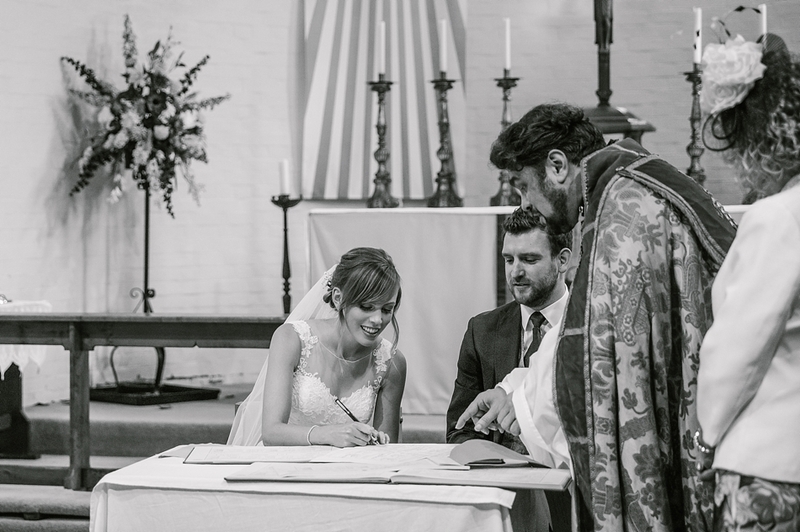 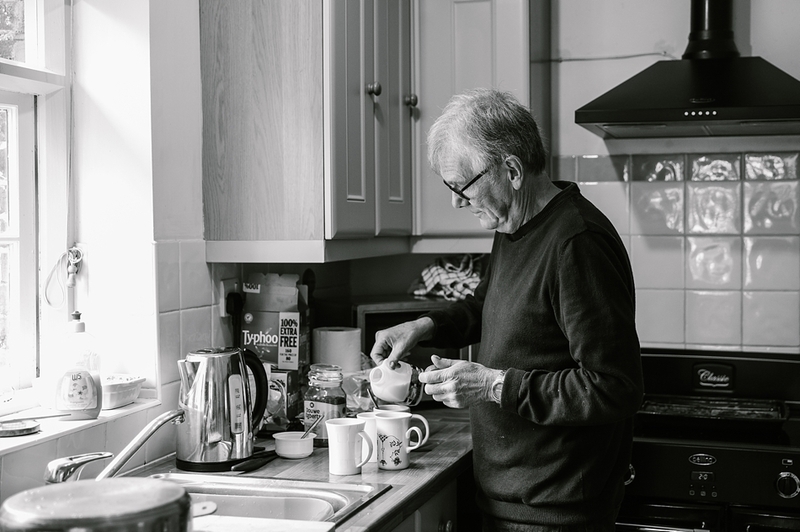 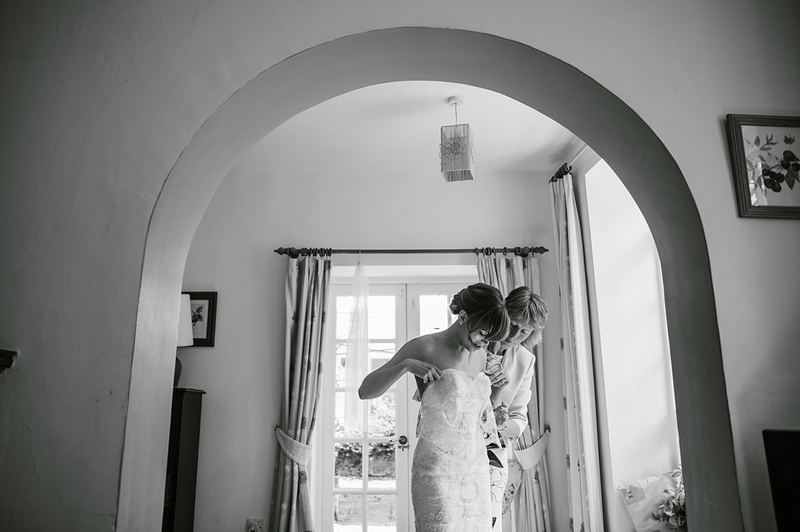 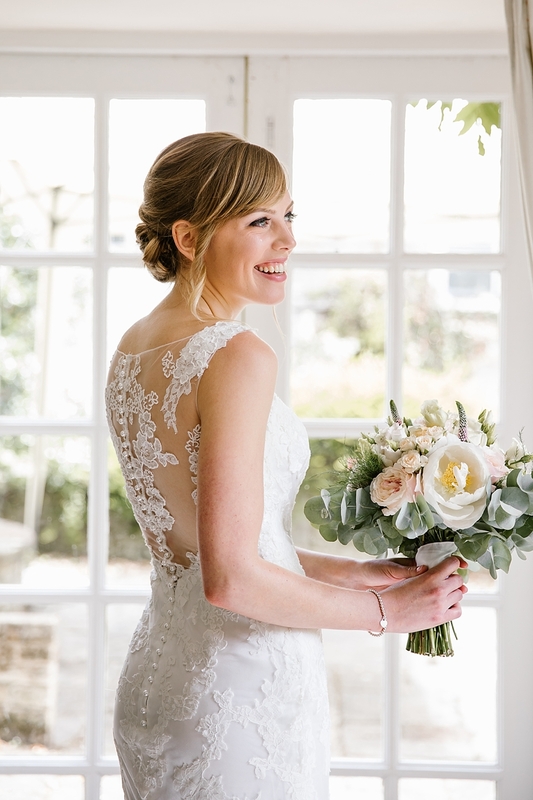 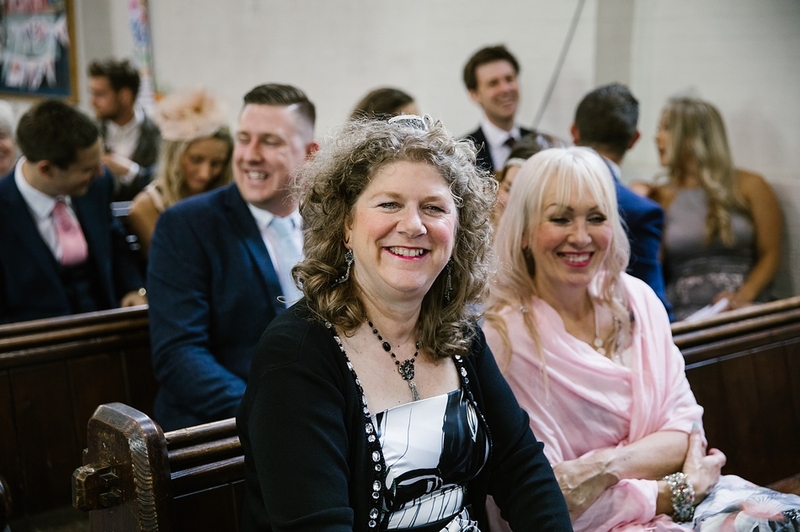 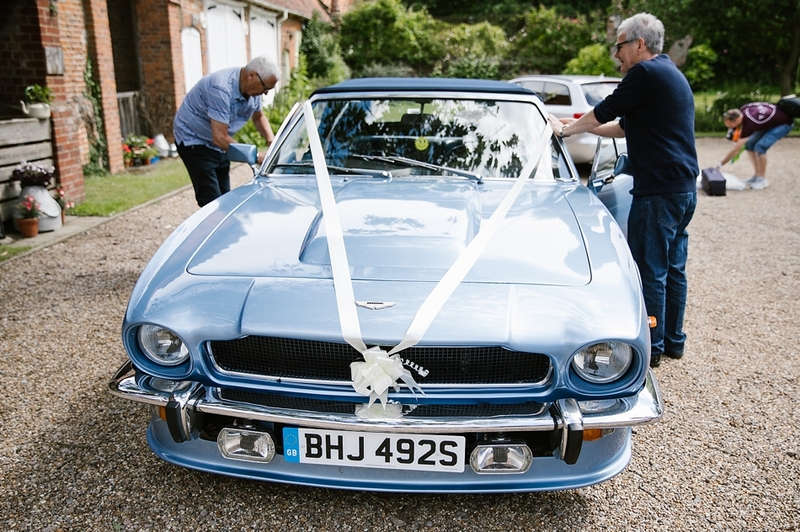 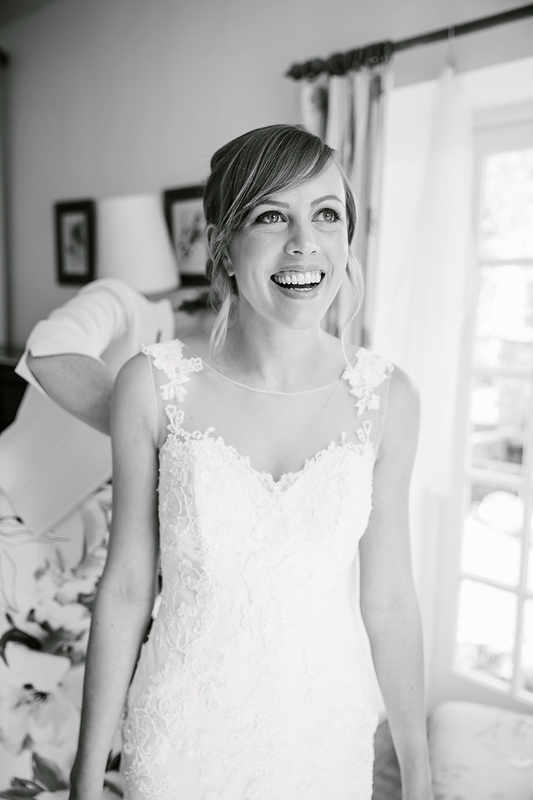 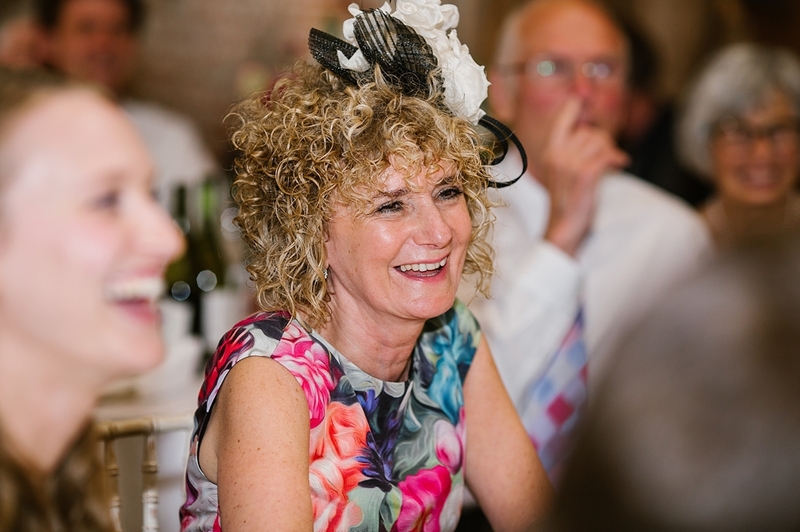 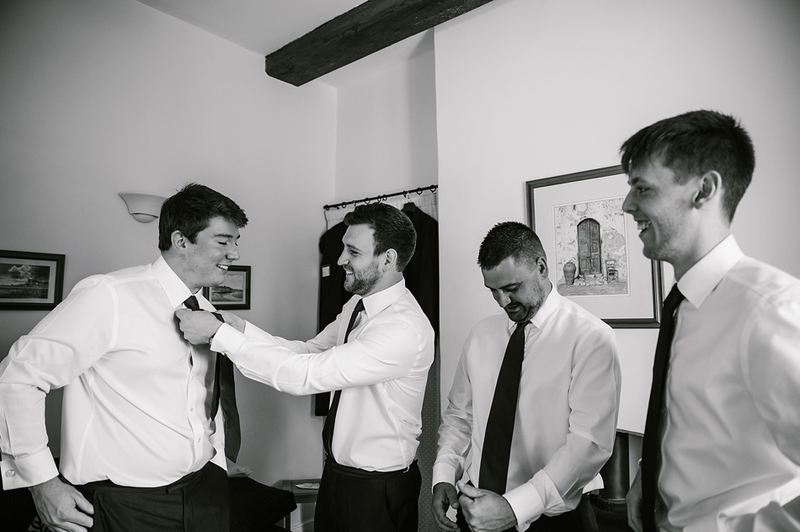 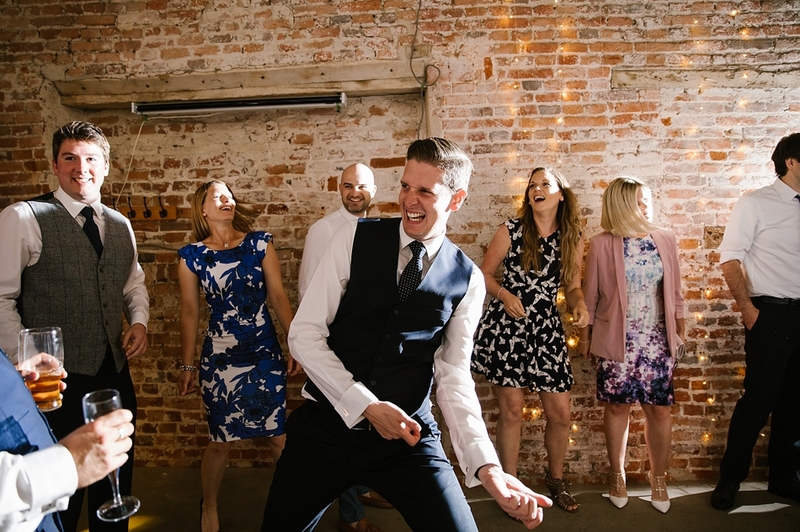 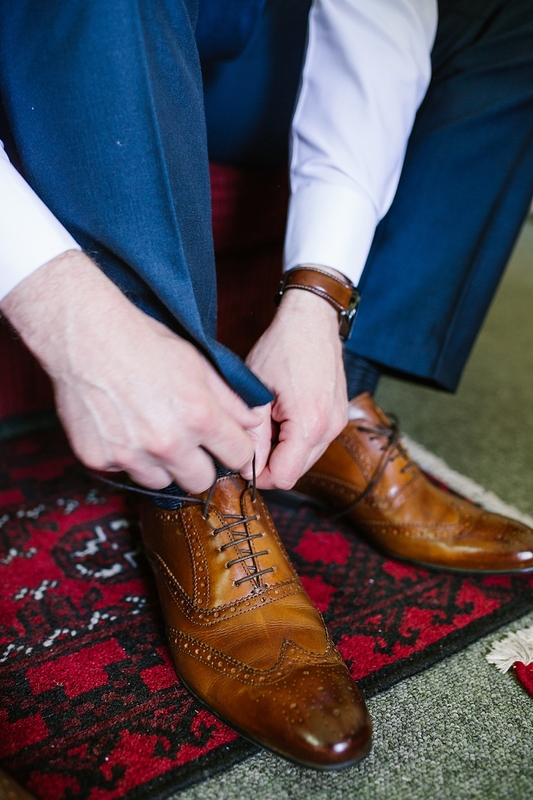 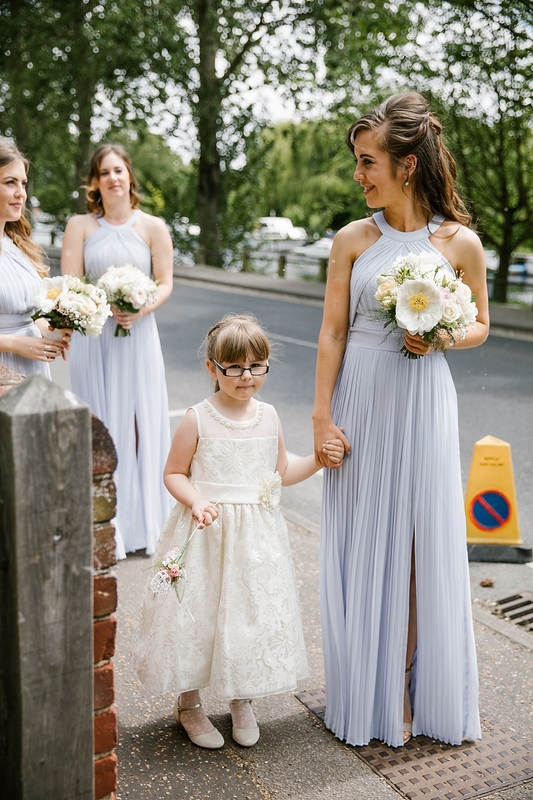 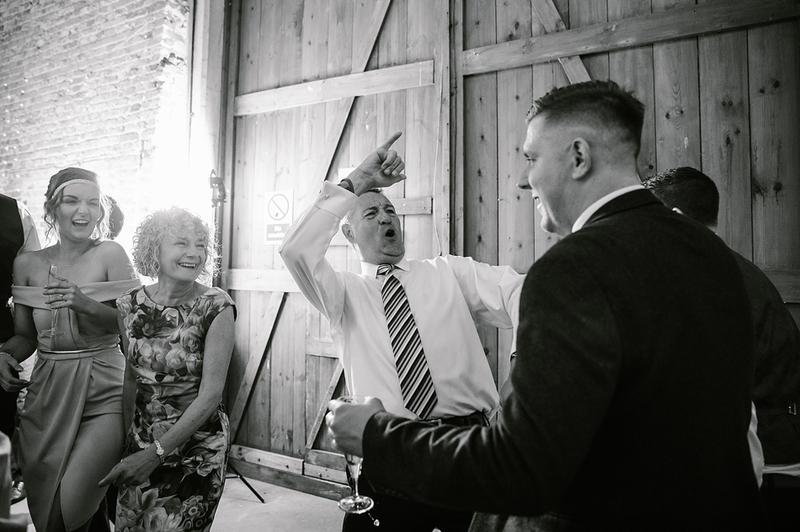 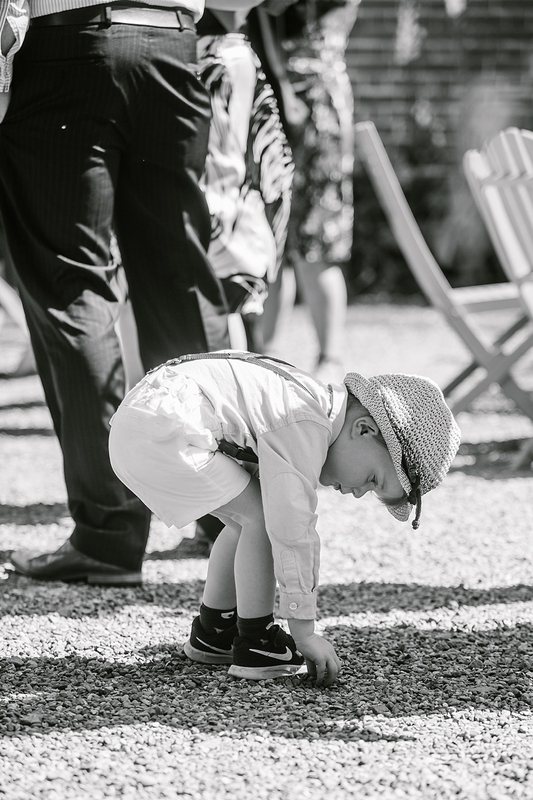 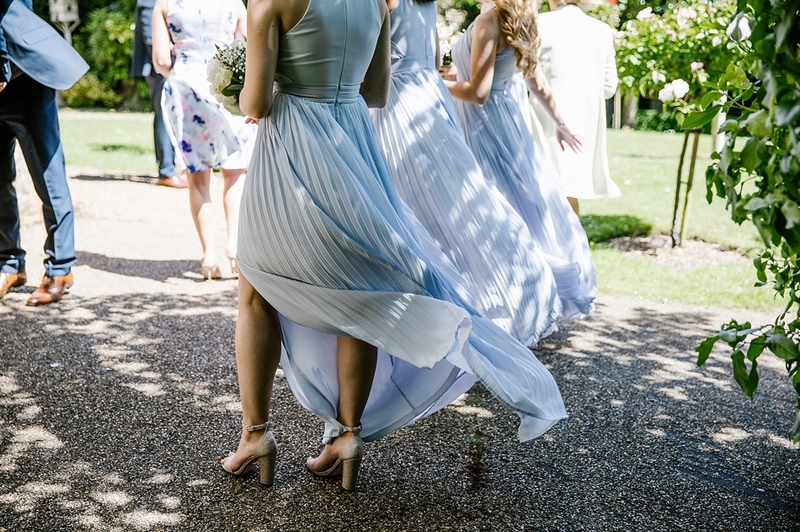 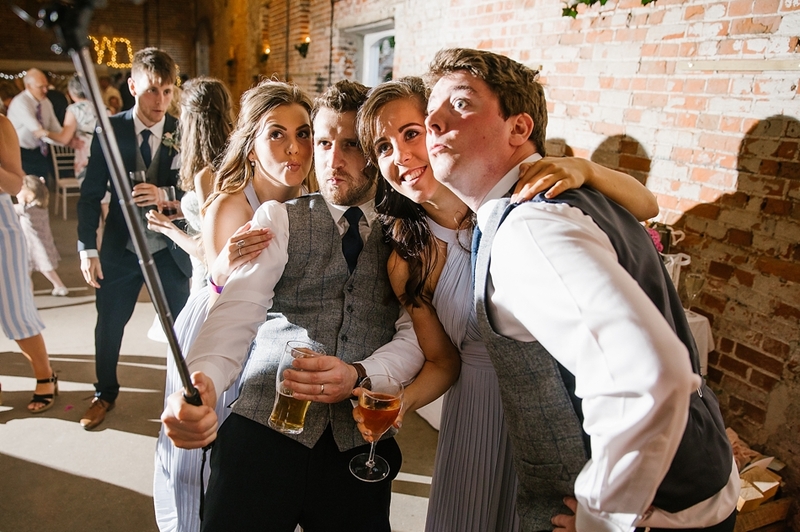 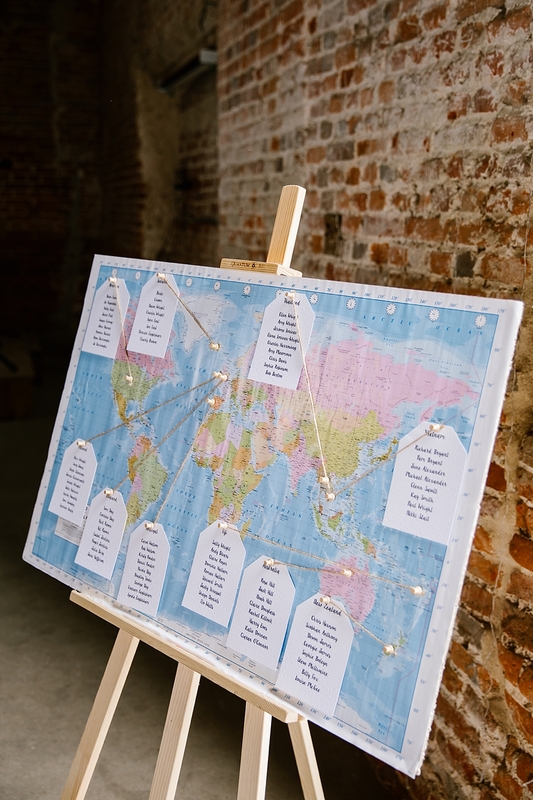 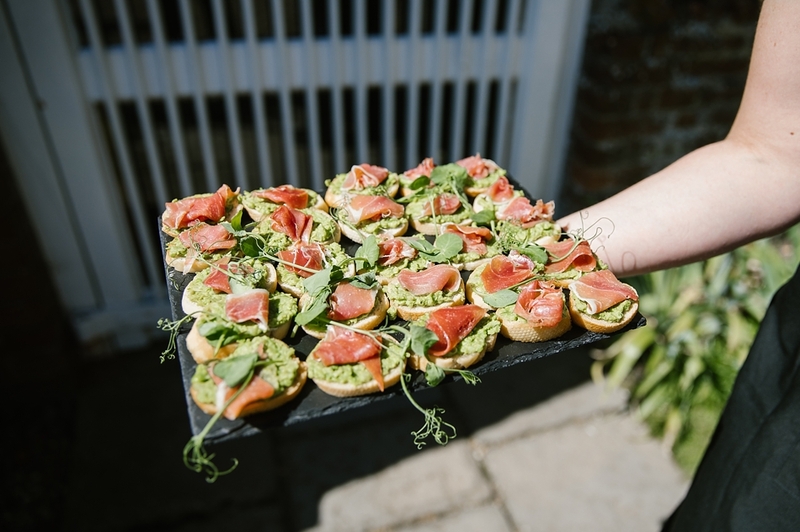 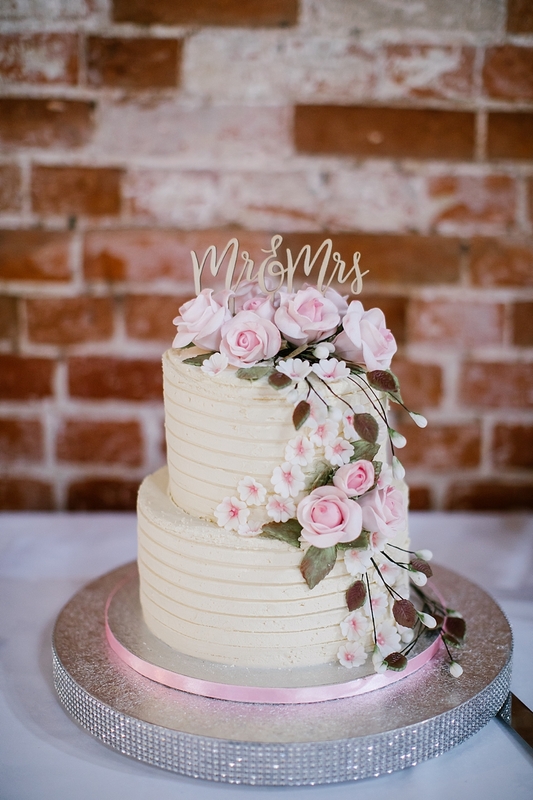 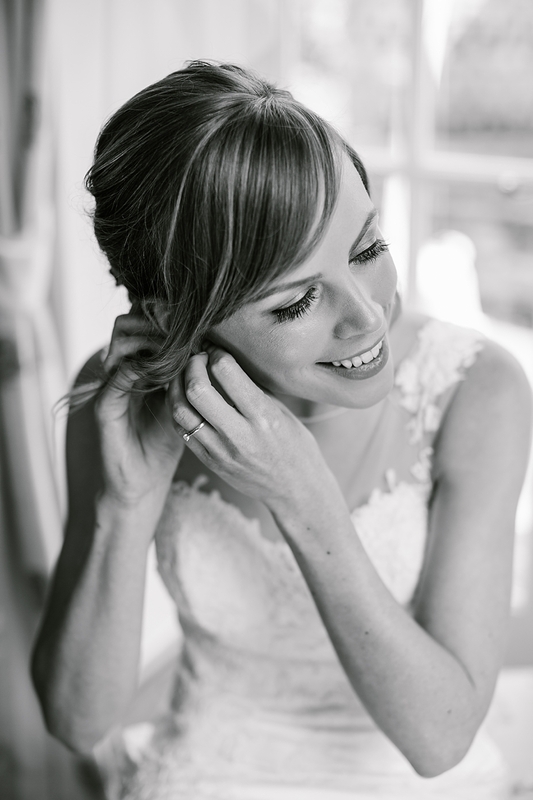 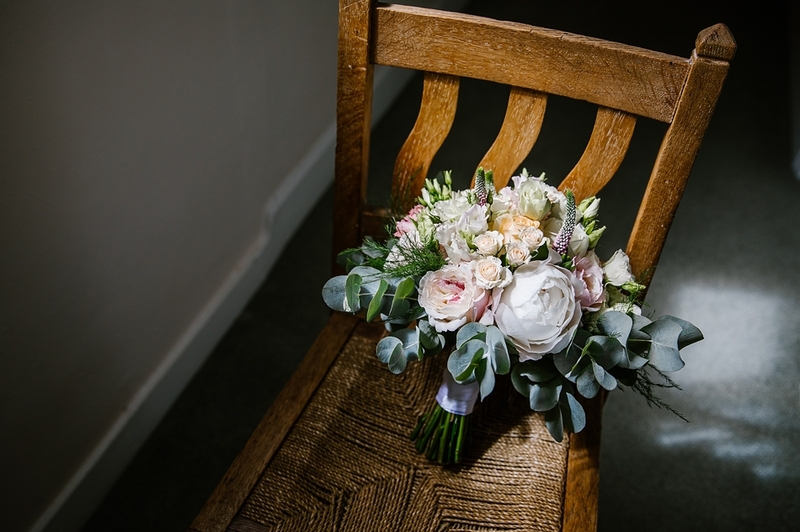 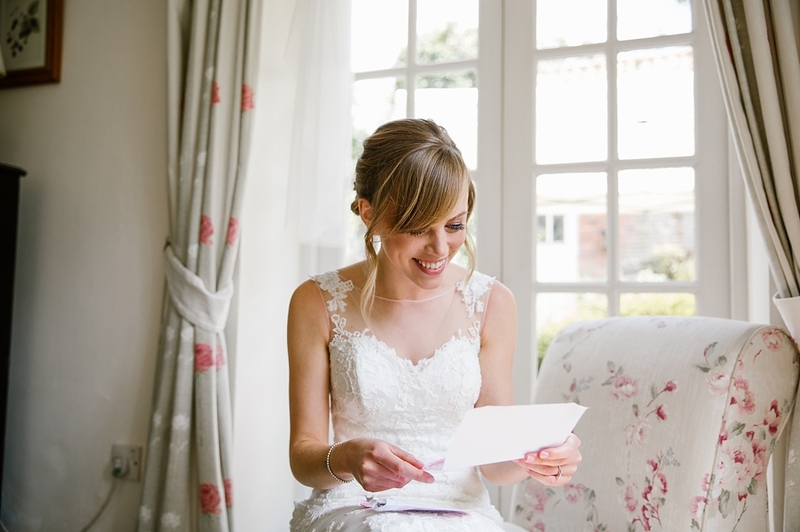 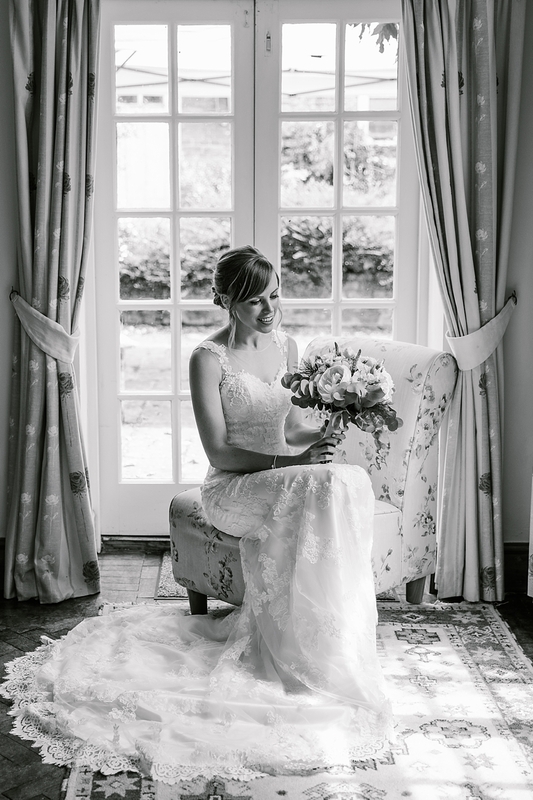 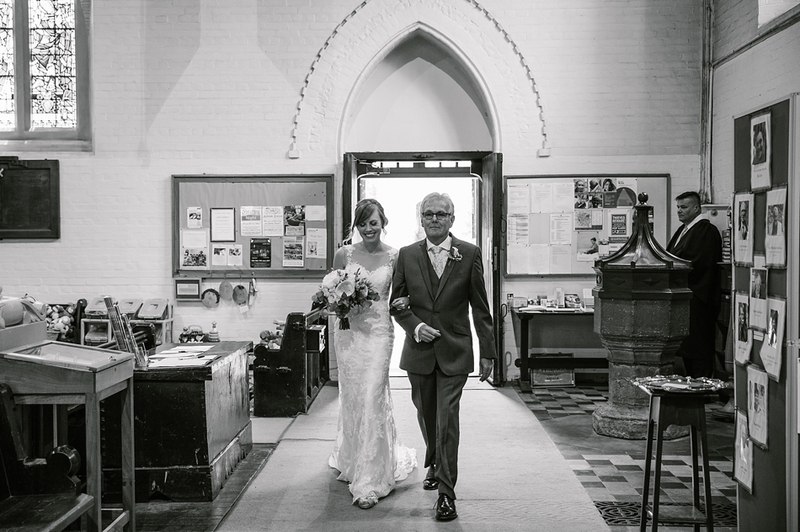 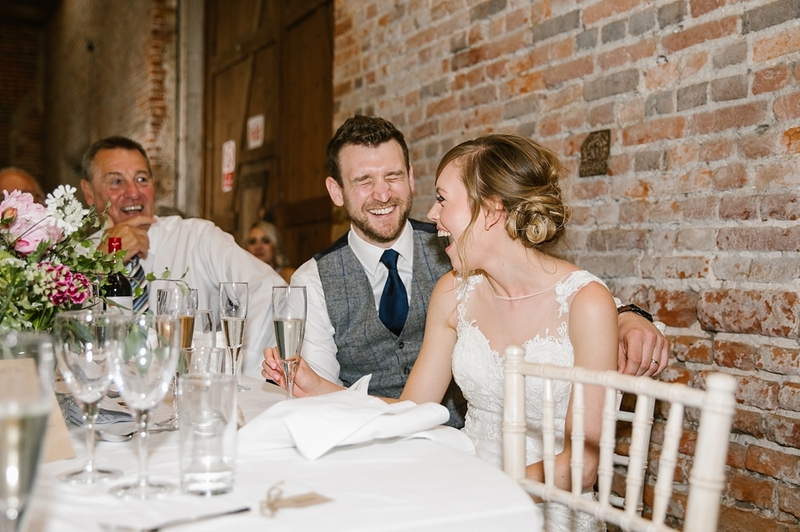 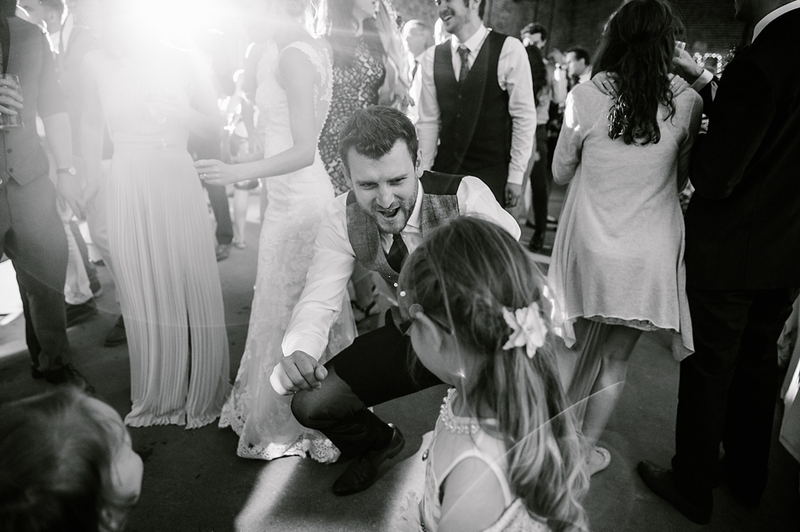 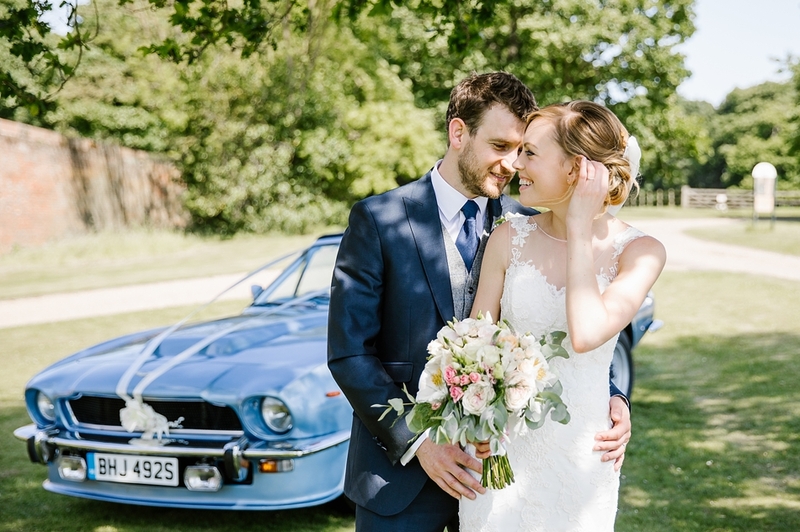 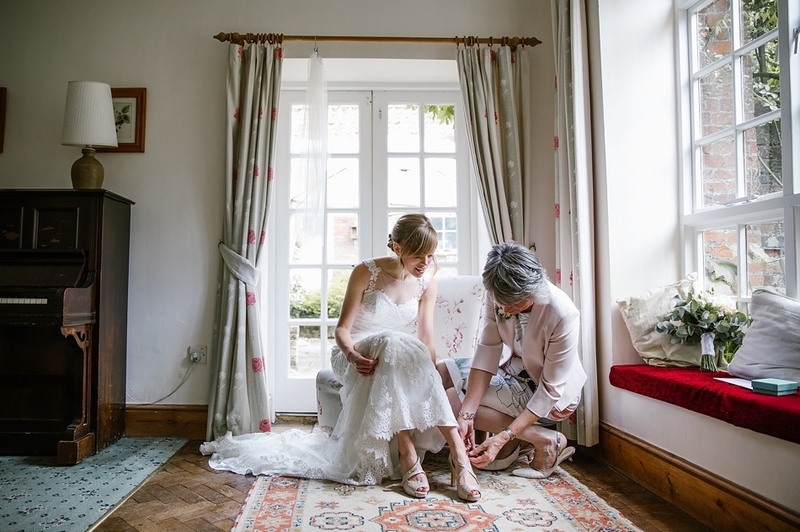 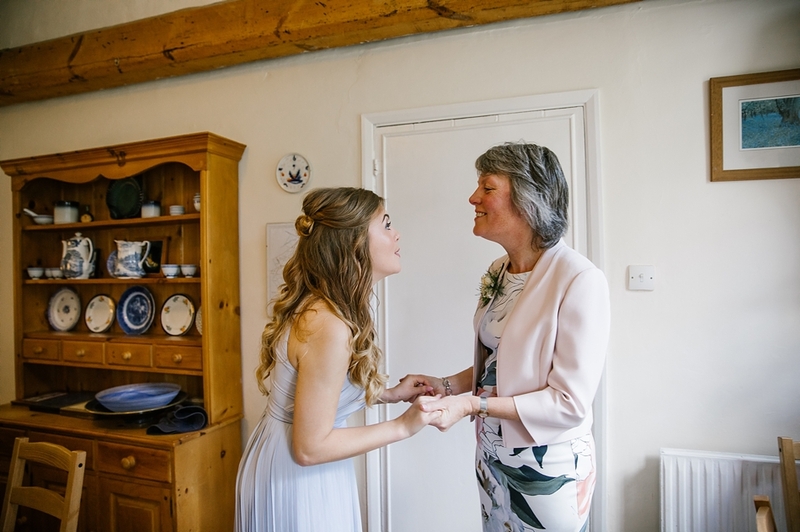 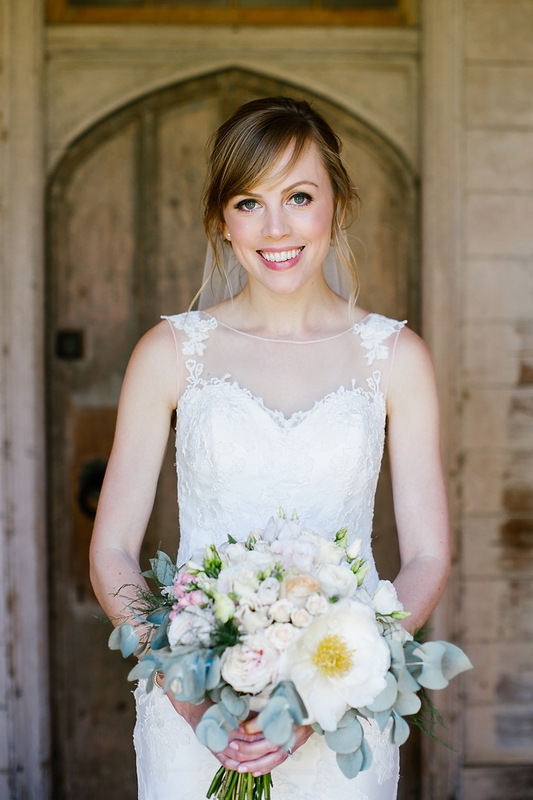 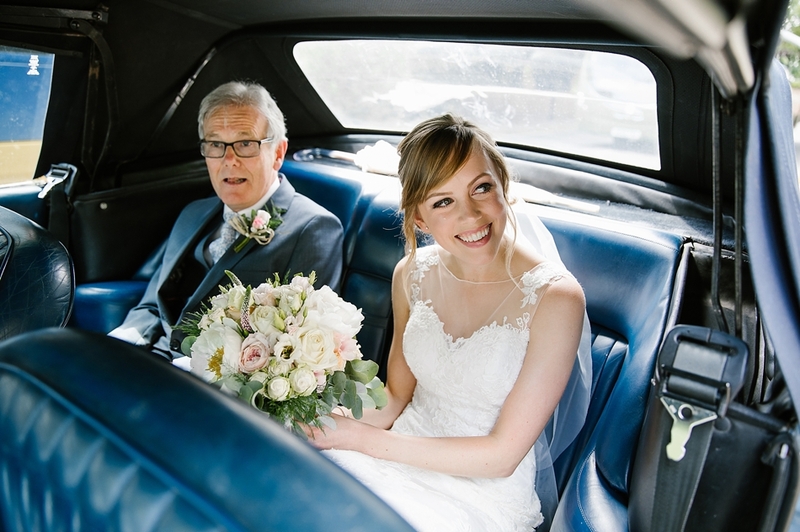 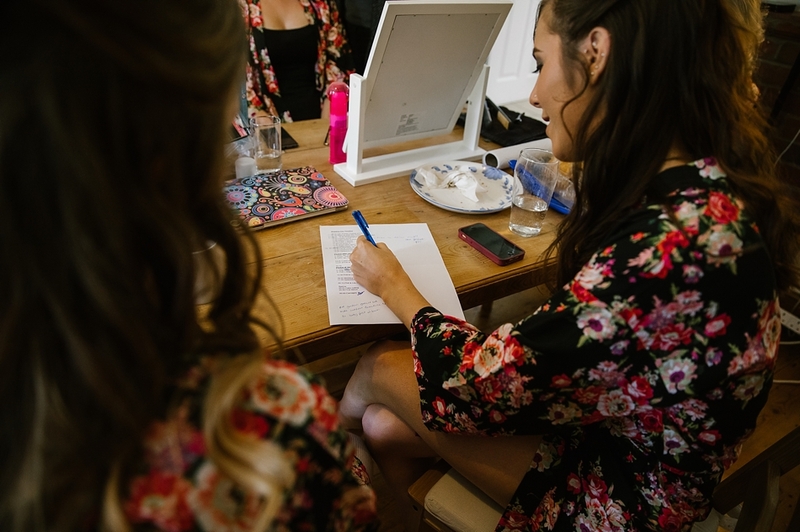 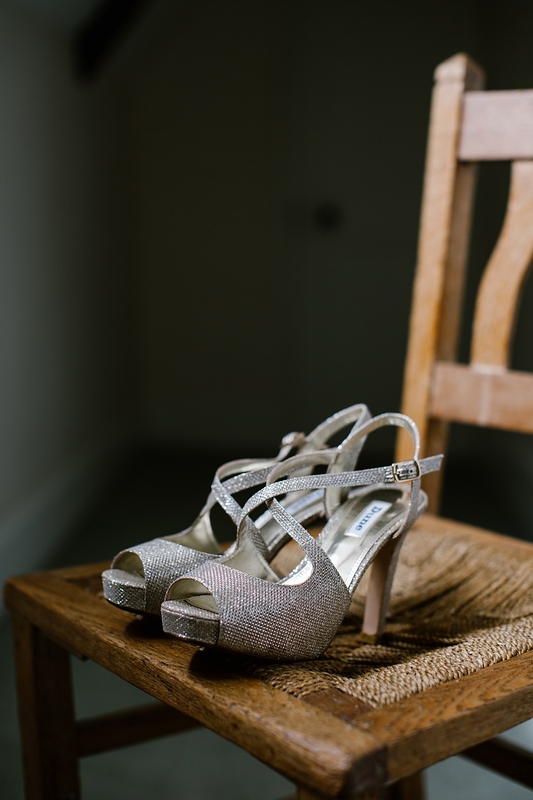 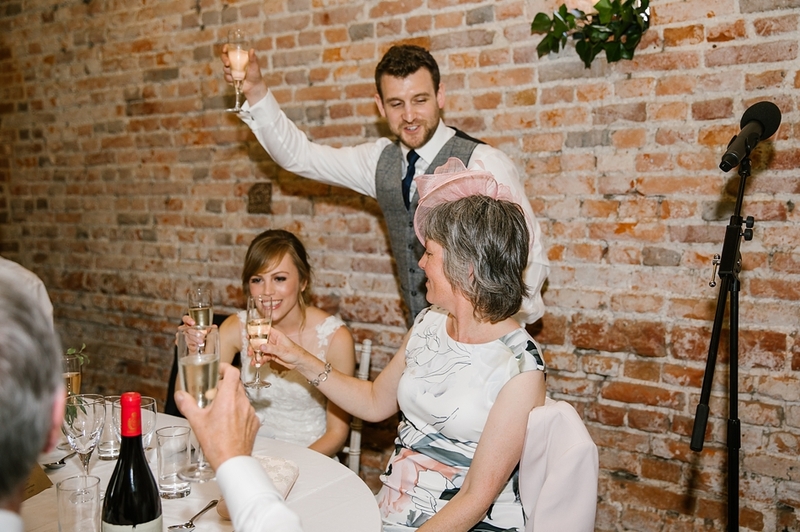 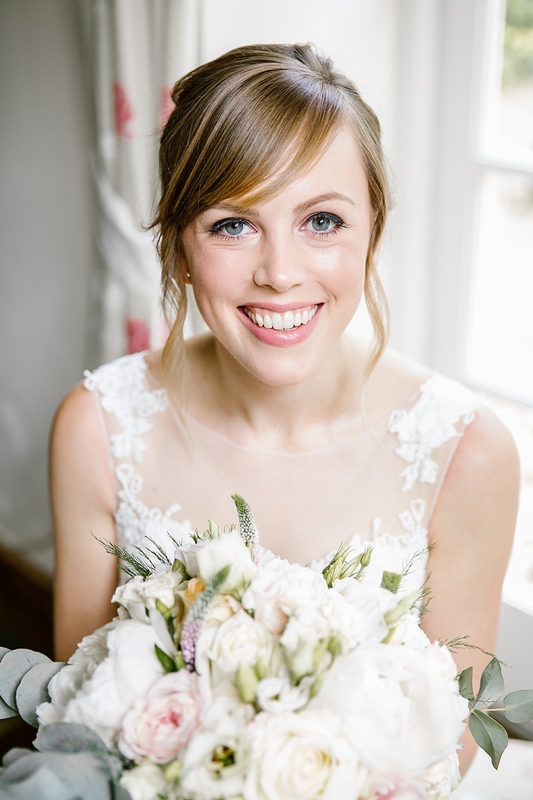 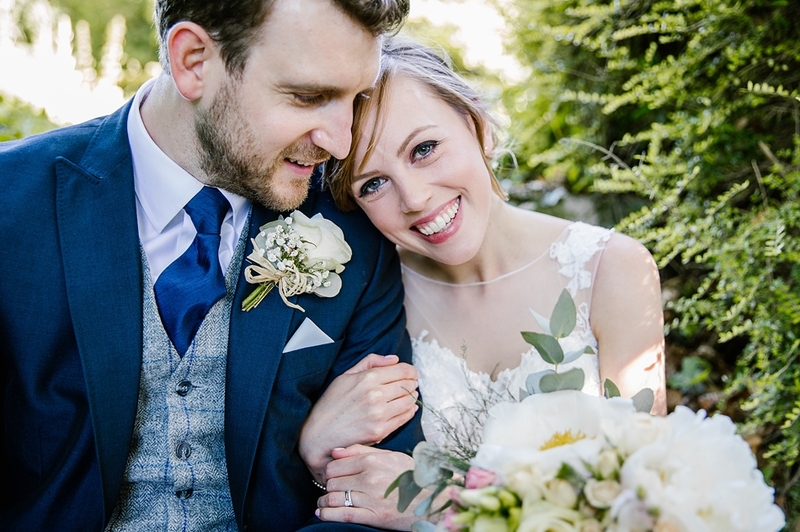 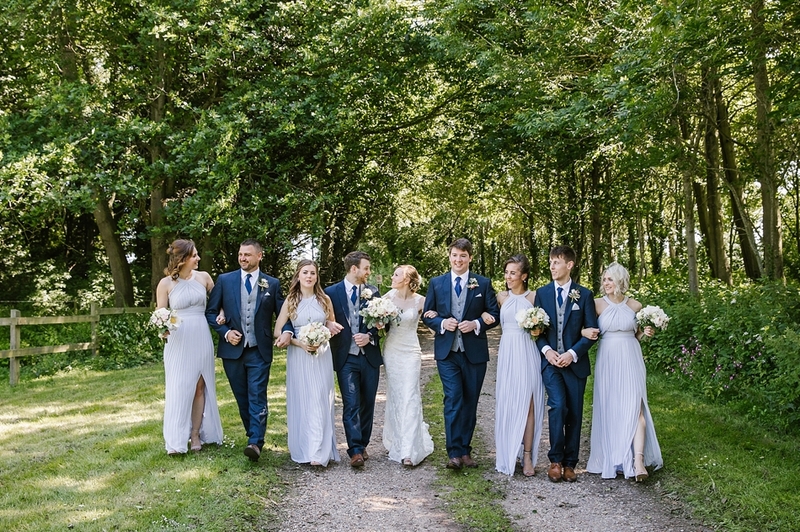 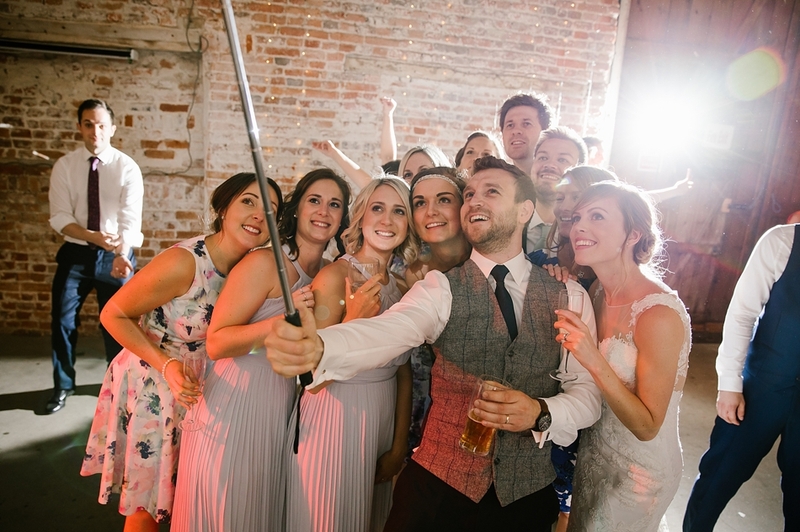 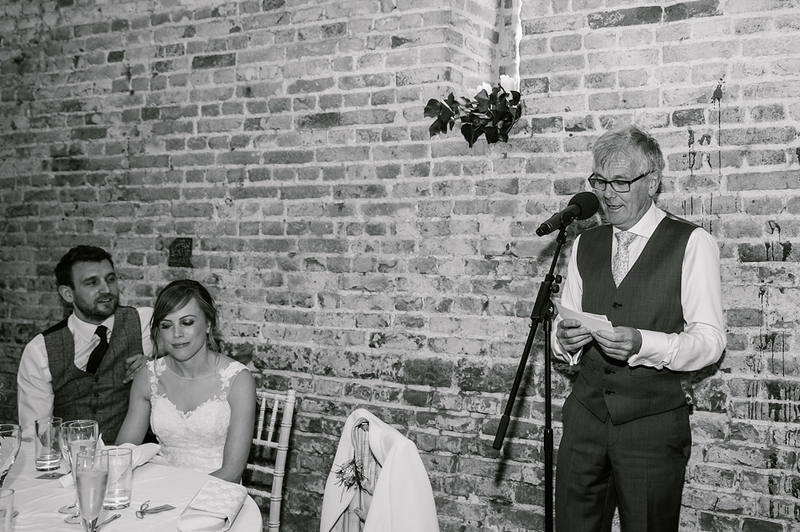 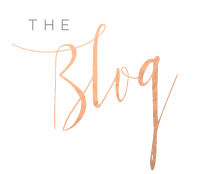 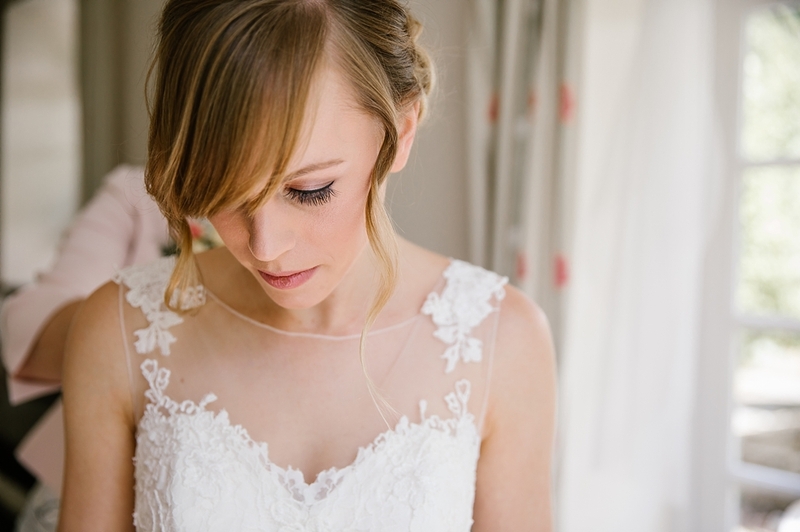 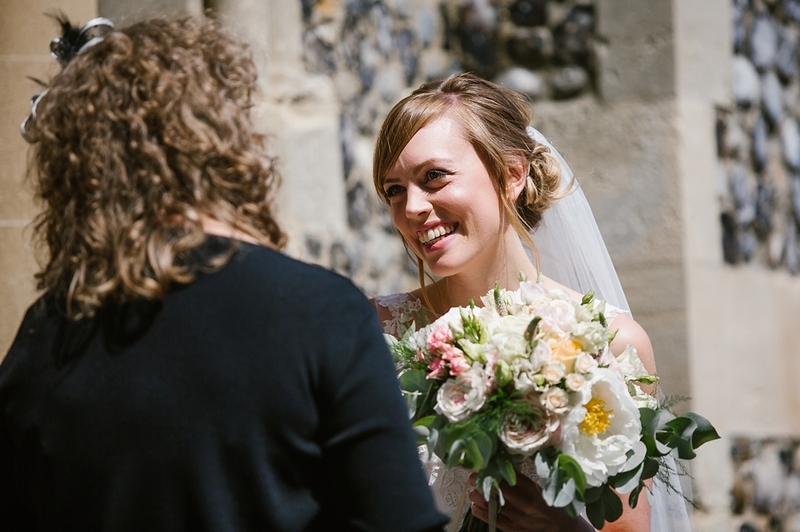 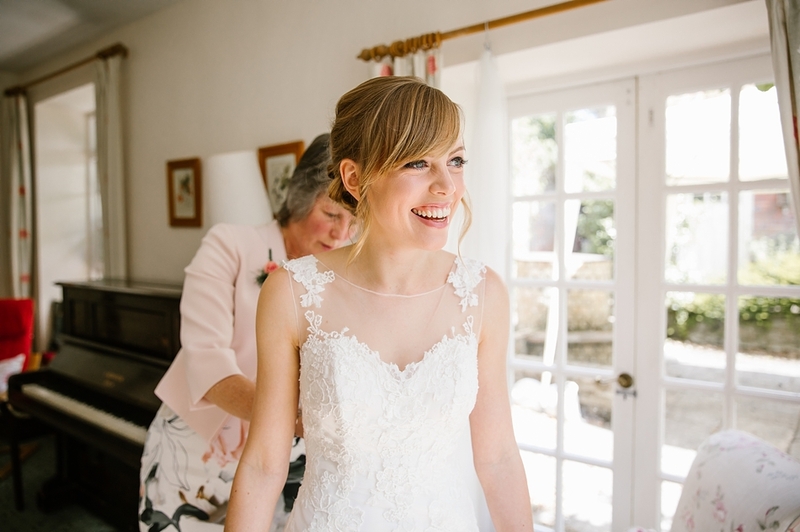 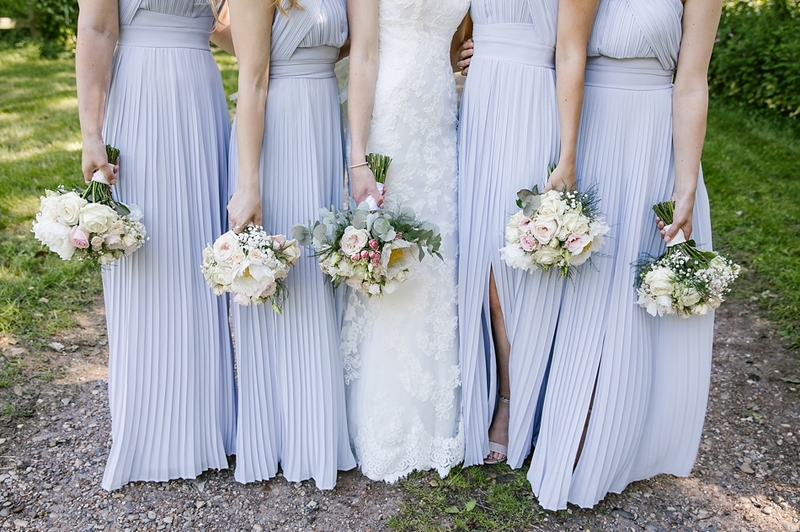 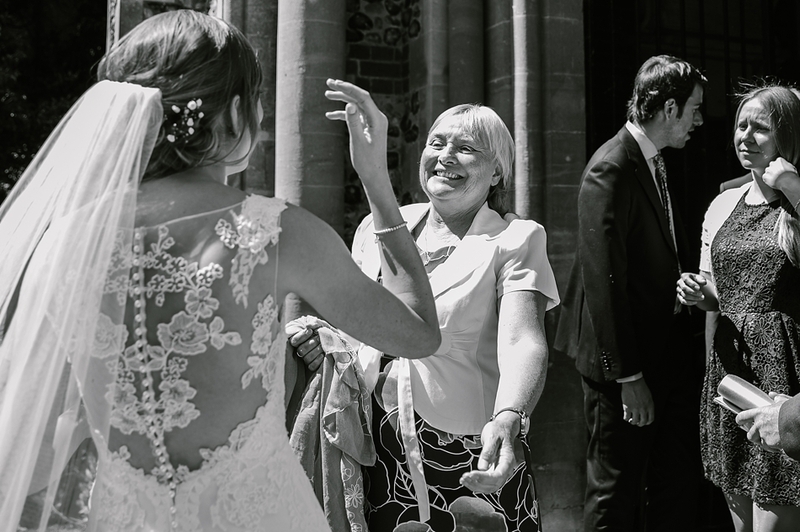 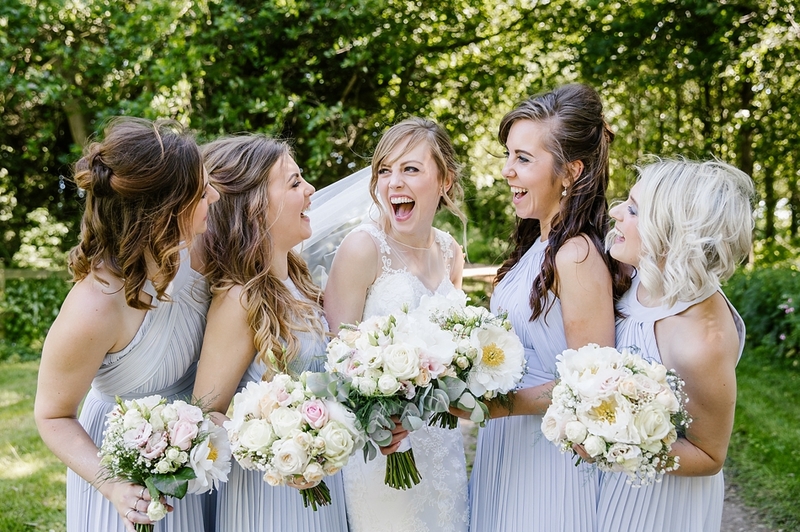 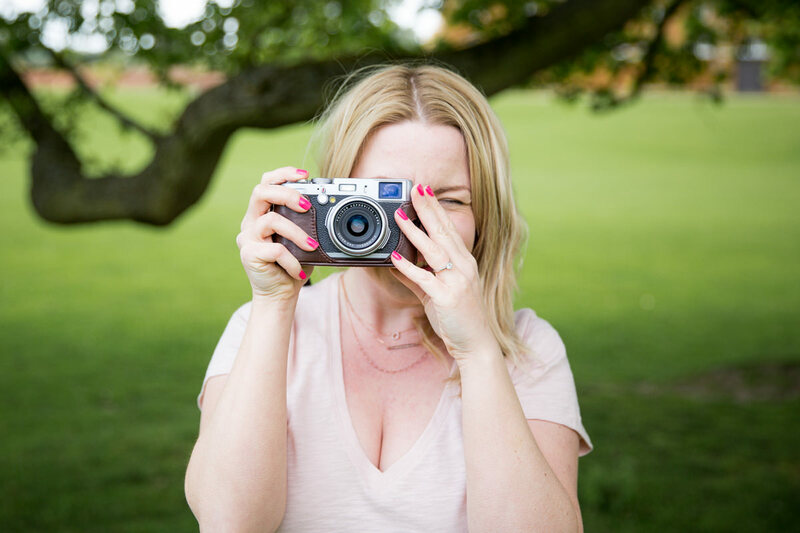 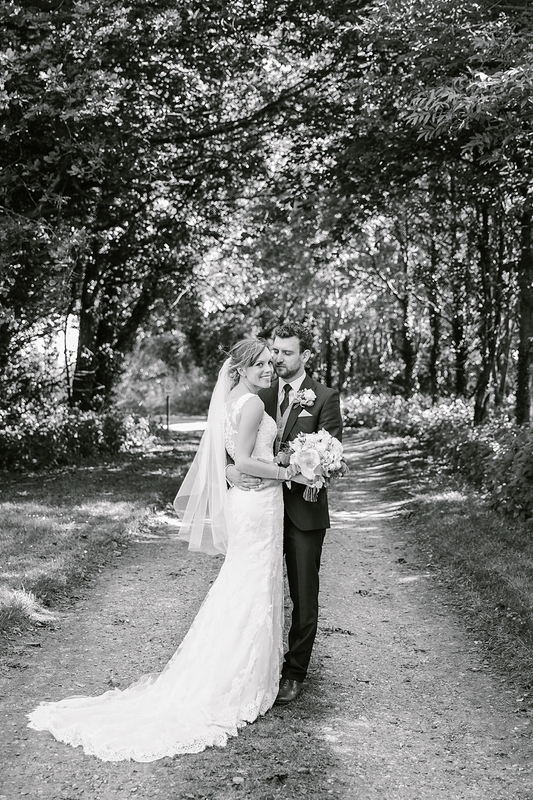 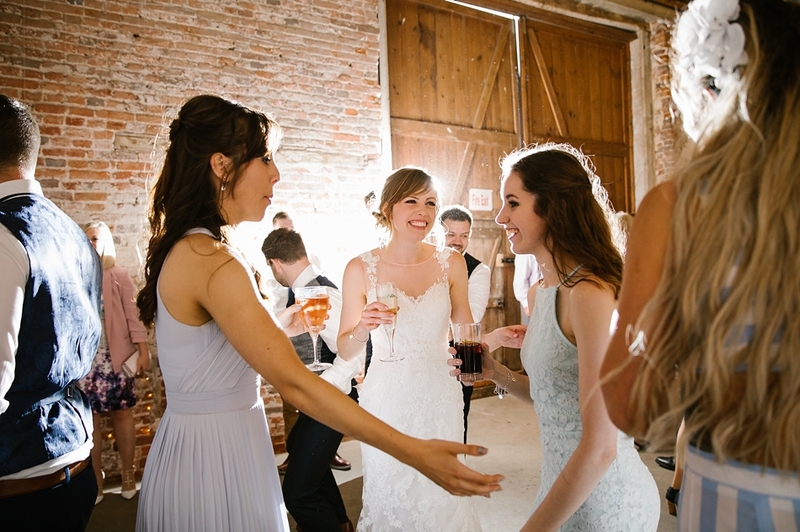 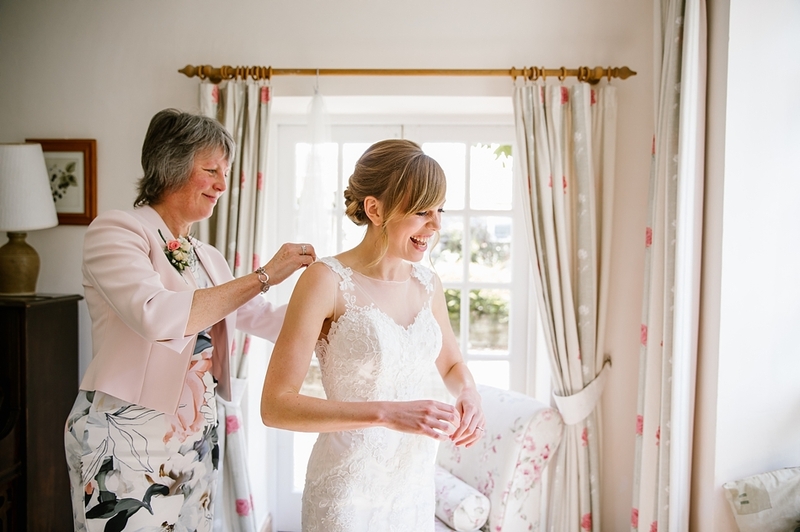 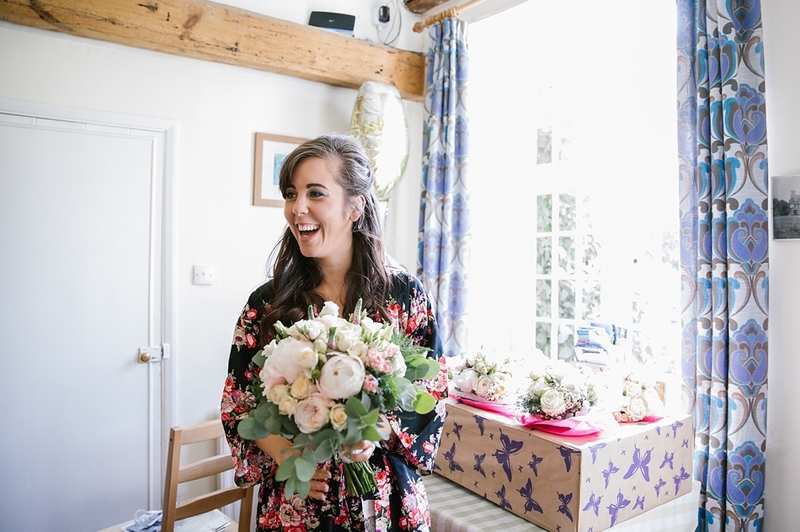 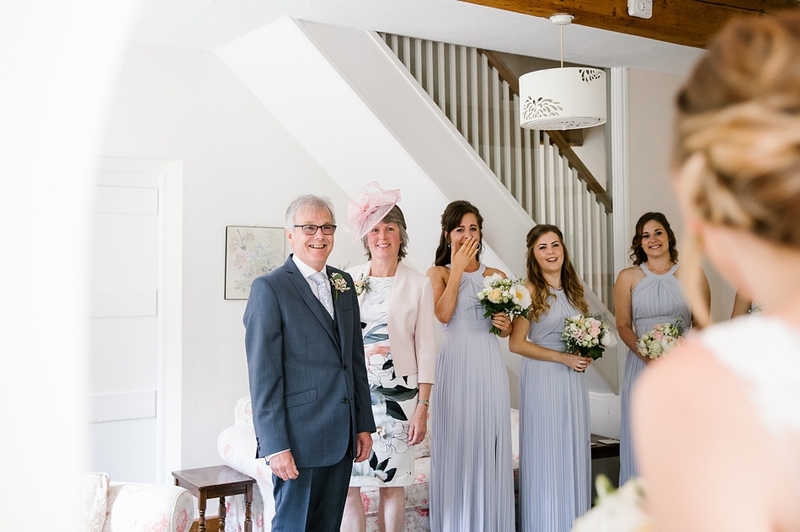 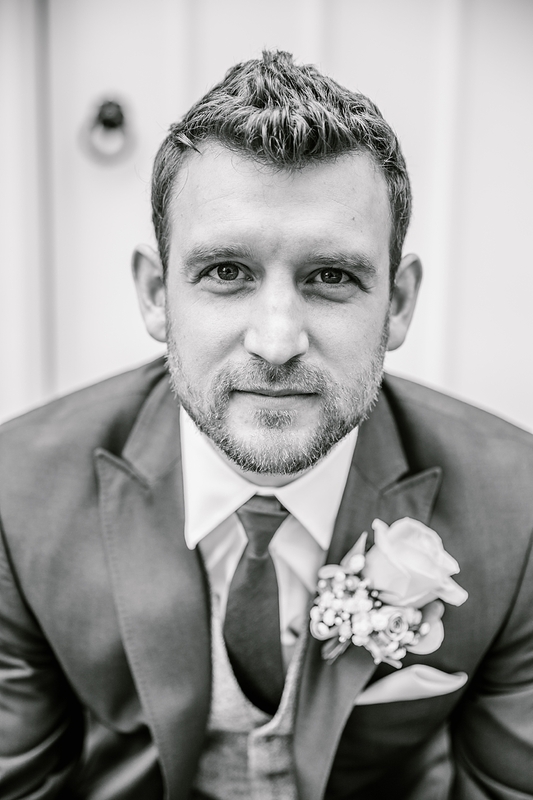 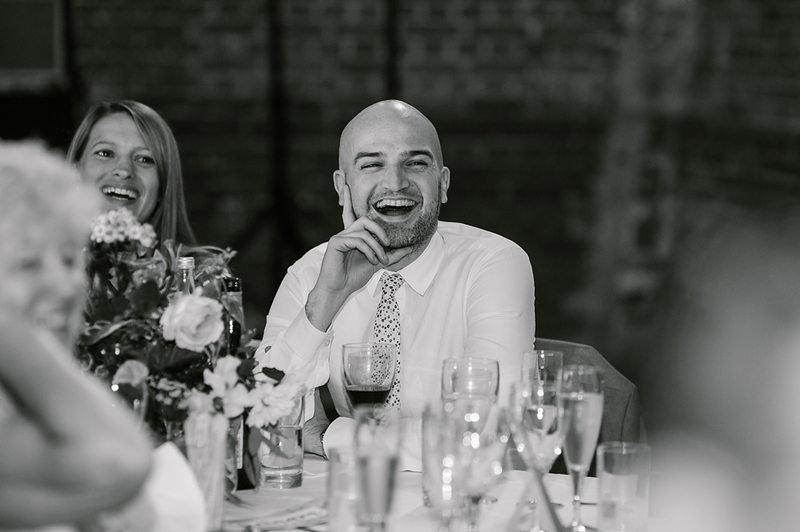 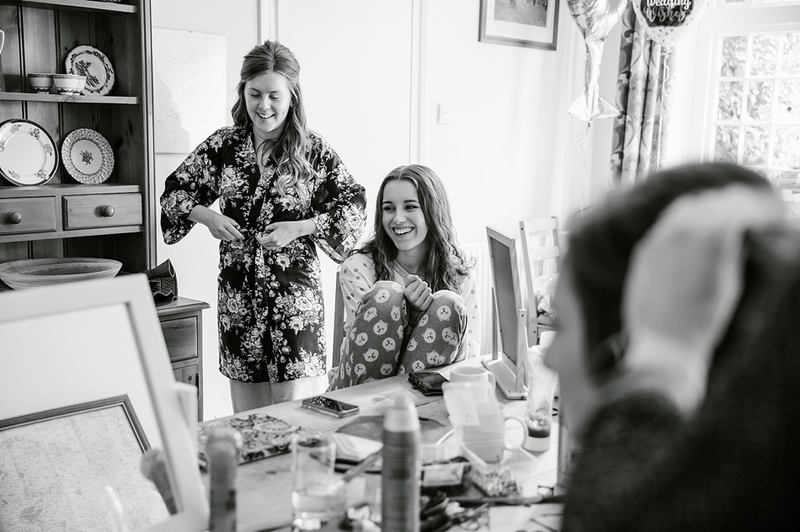 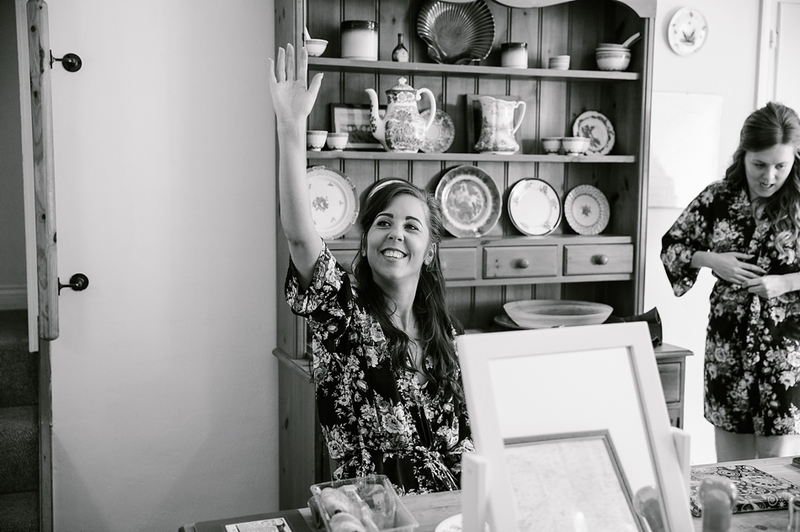 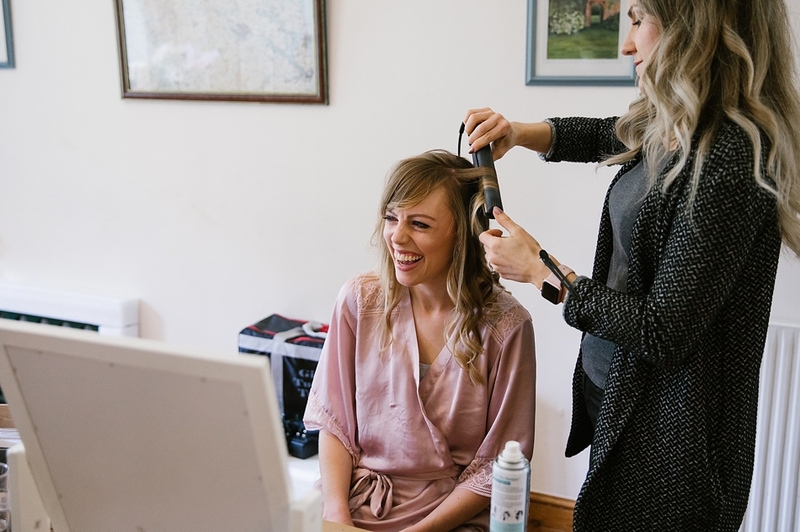 It started at one of the pretty little Spixworth cottages with Lou, her gorgeous bridesmaids mum and dad all getting ready and having makeup by Melanie Haynes. 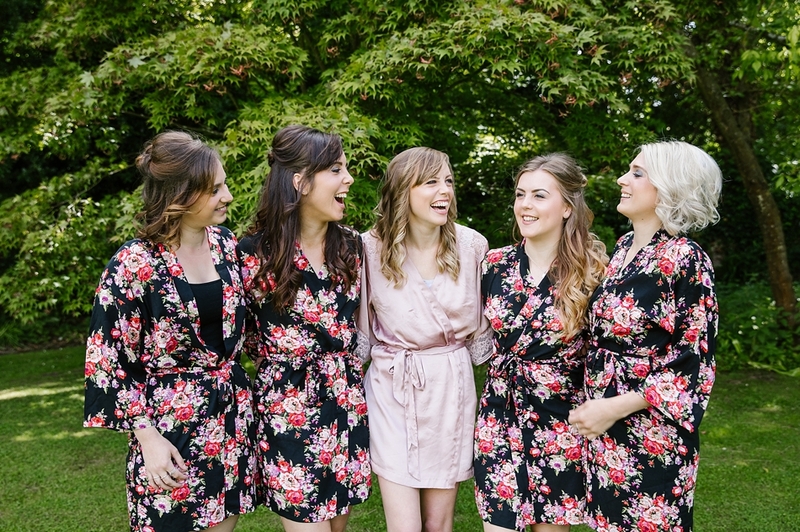 The bridesmaids were in cute matching robes and having spent a few days there before the wedding setting up everyone was now getting really excited. 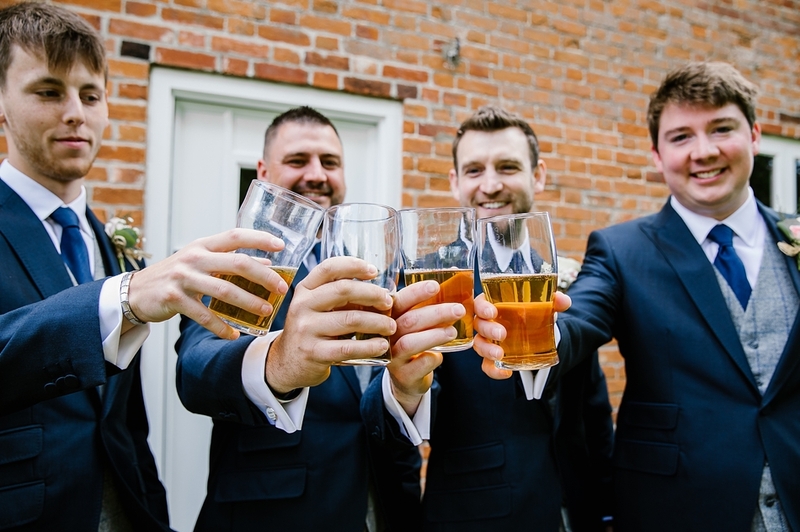 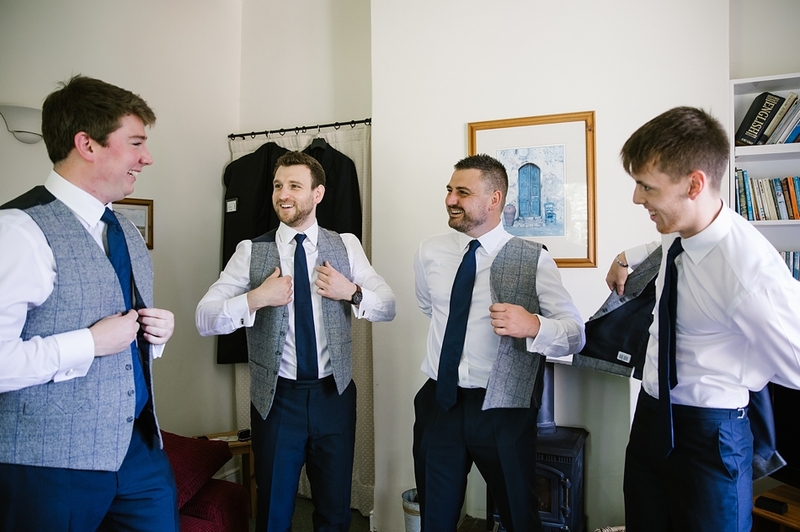 I headed over to the boys for some getting ready shots as they were getting ready at the same venue and were already in good spirits despite a hangover or two from the night before. 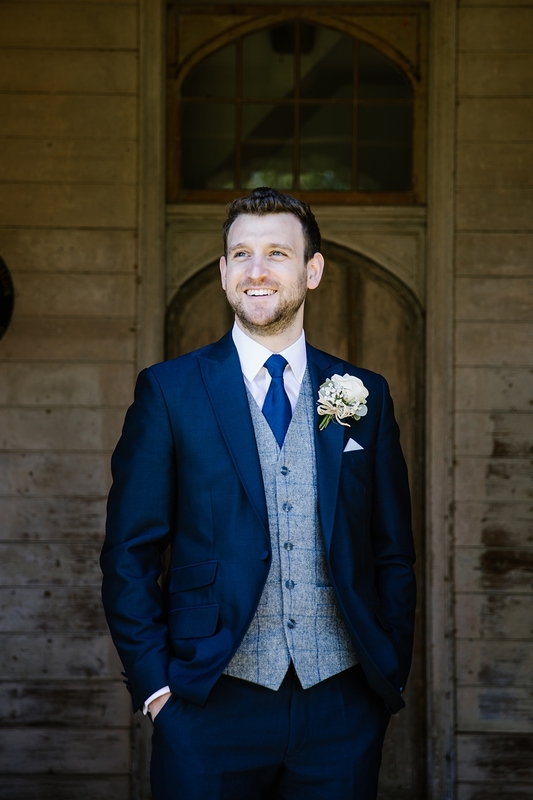 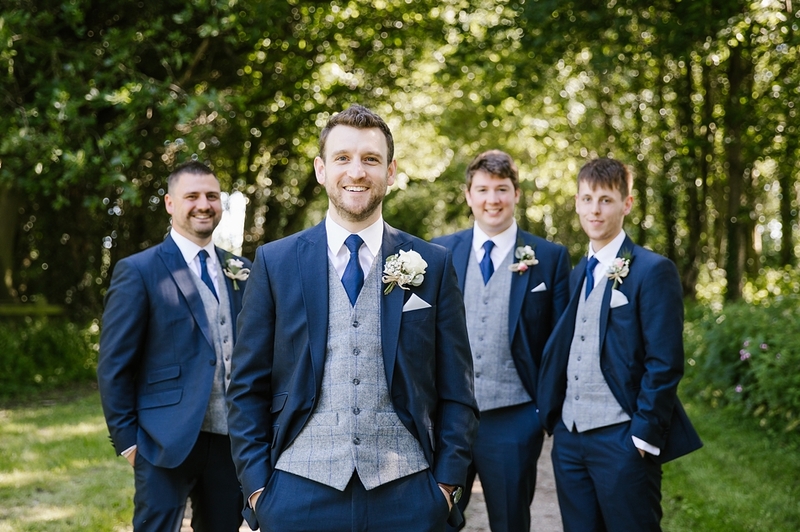 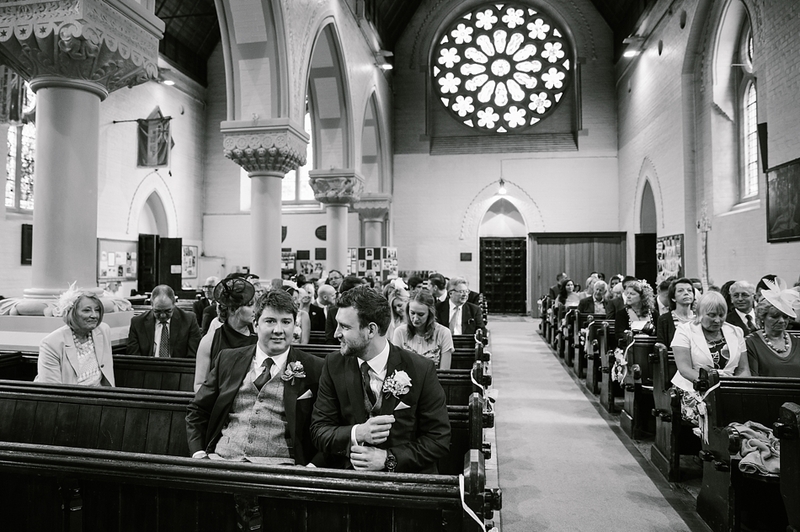 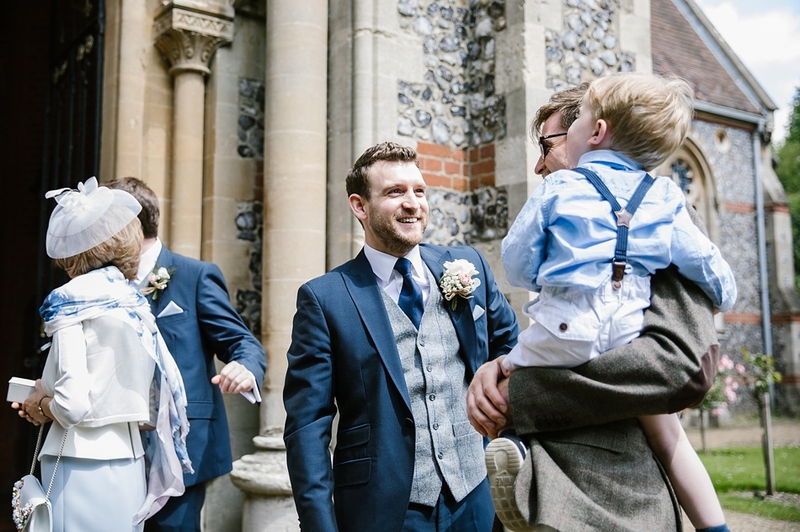 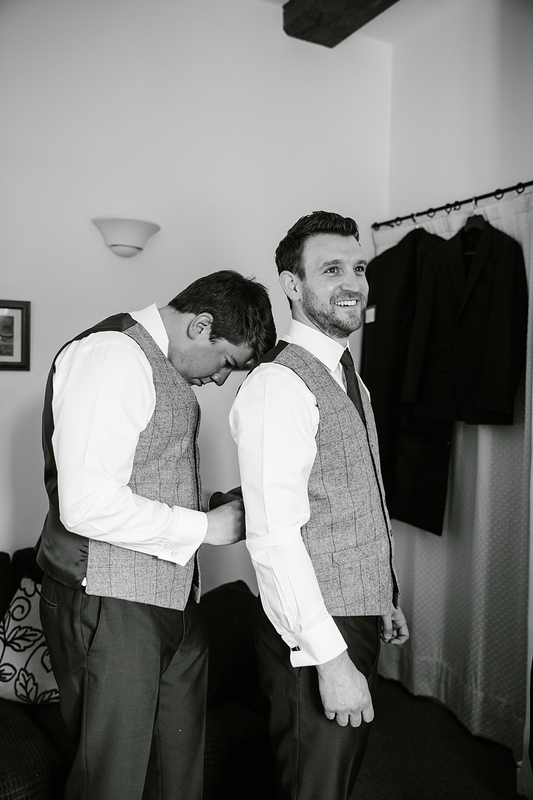 They looked really smart in their deep blue suits and I loved their tweed waistcoats, very stylish grooms party! 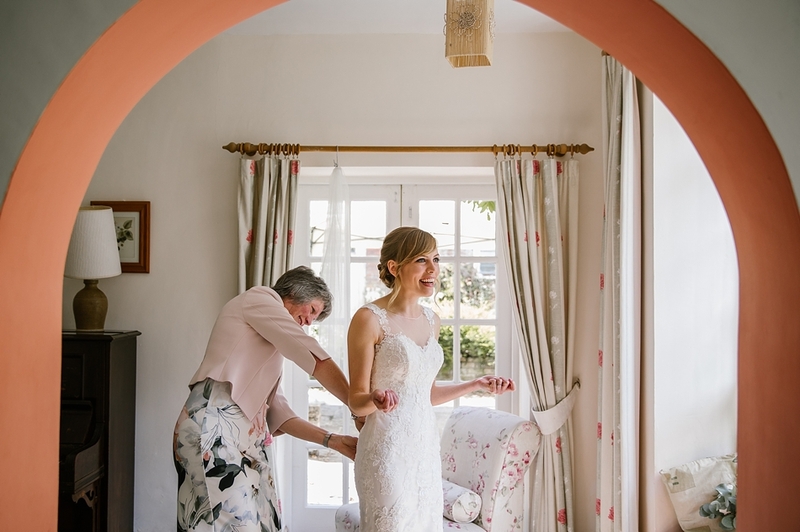 Back with the girls it was time for Lou to get into her stunning lace dress with the help of her mum and I don’t think she stopped smiling the whole way through. 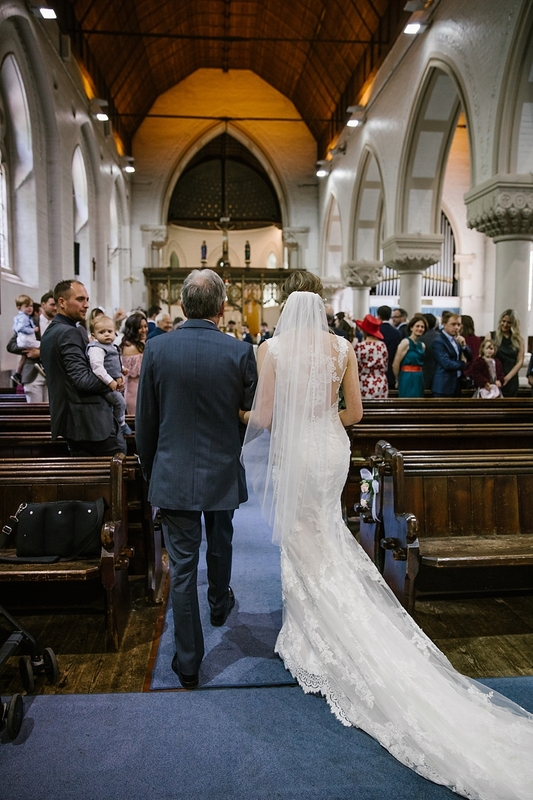 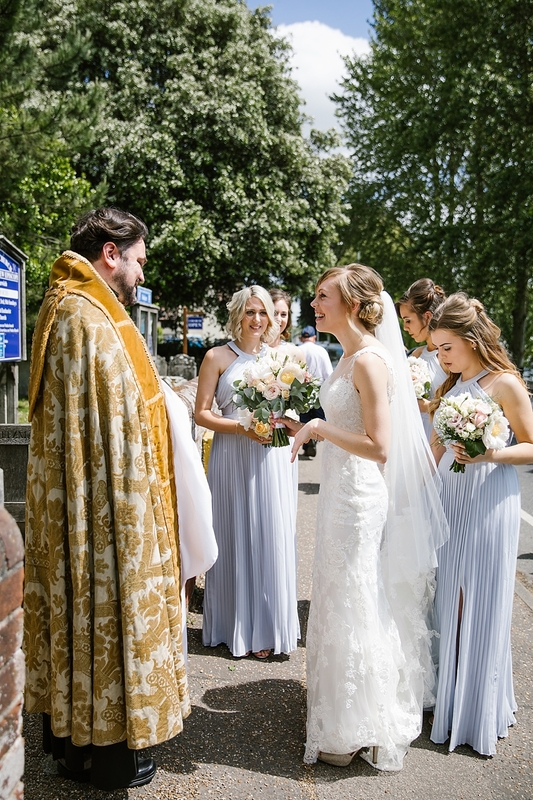 After an ‘unveil’ to her Dad and bridesmaids I headed off to church. 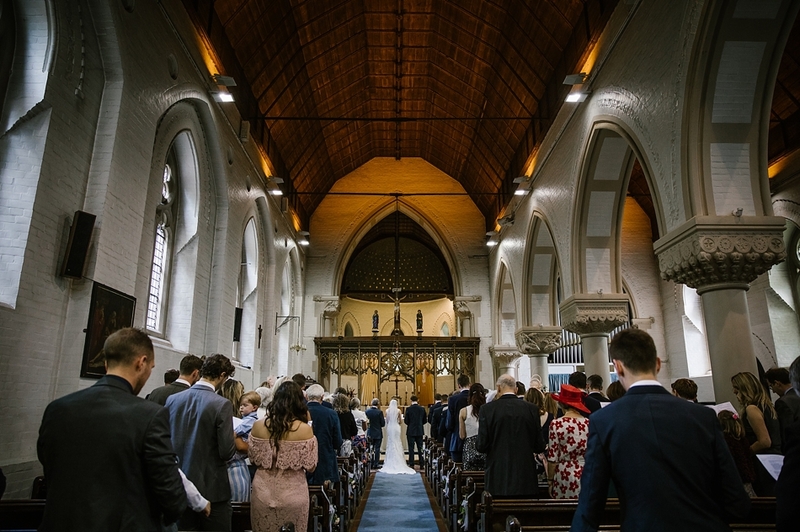 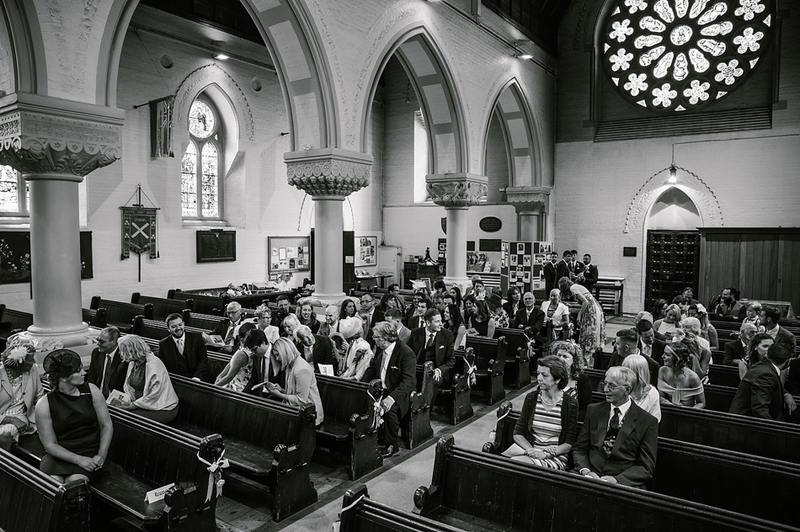 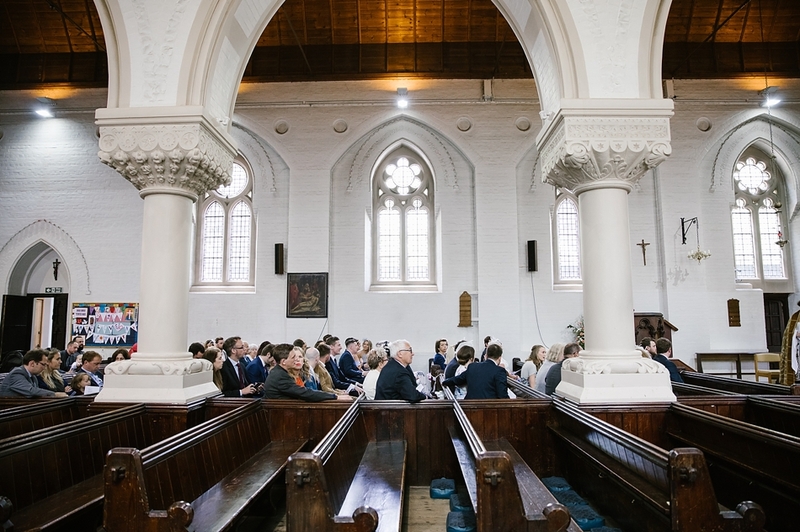 I have shot in their church a few times before and although you are only permitted to shoot from the back it is a gorgeous large space. 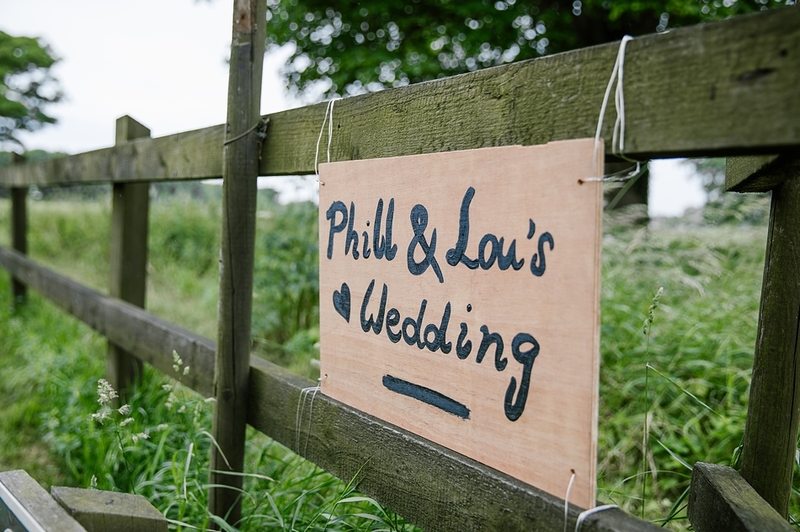 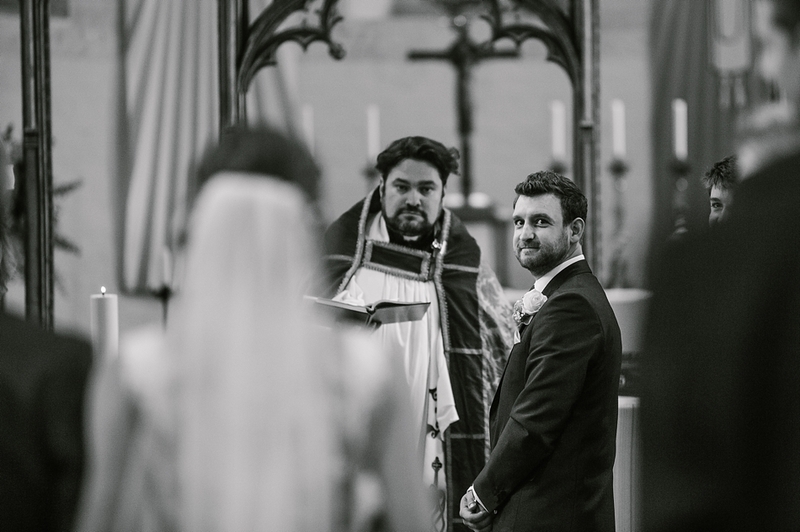 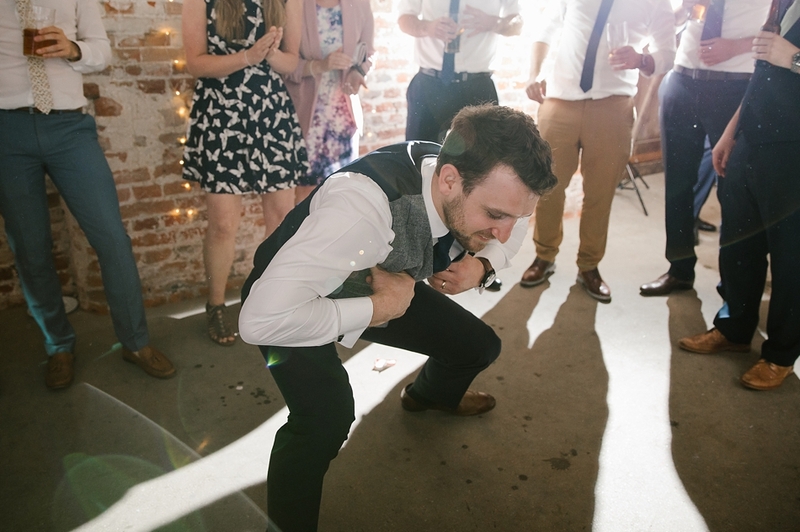 I also got some wonderful shots from the back especially of Phil as Lou walked up the aisle. 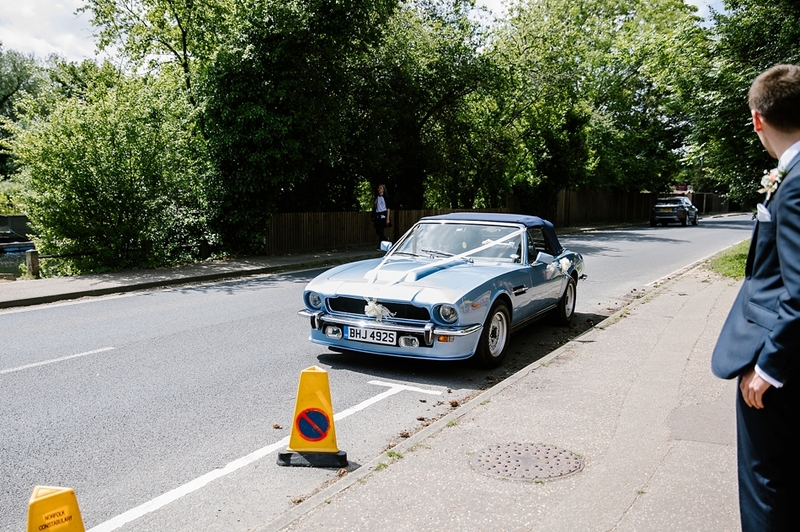 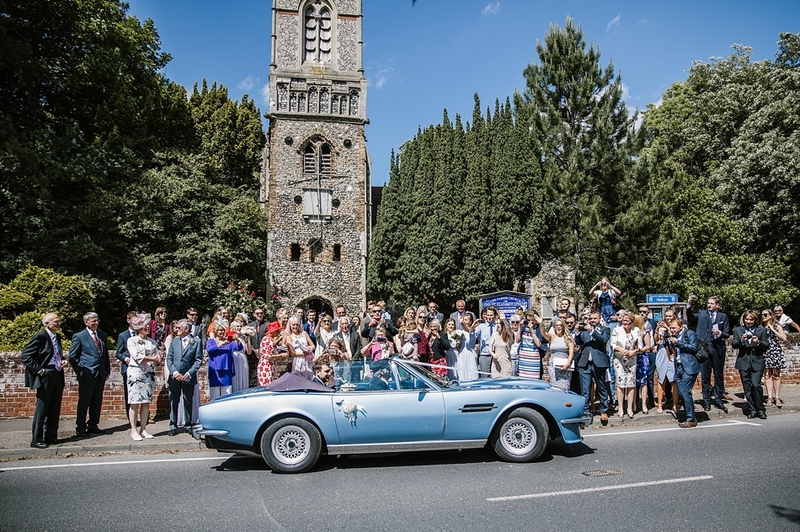 Outside we had a few simple groups and the guests congregated for confetti before Lou and Phil jumped in their awesome wedding car and sped off to the reception back at Spixworth. 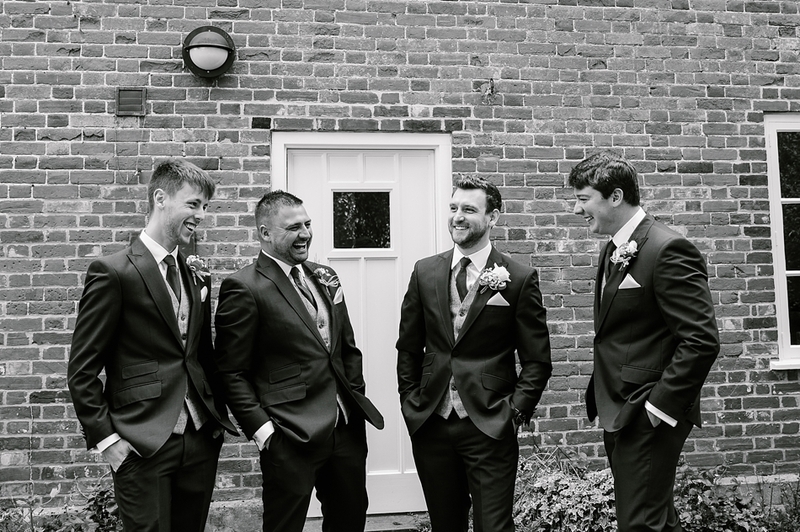 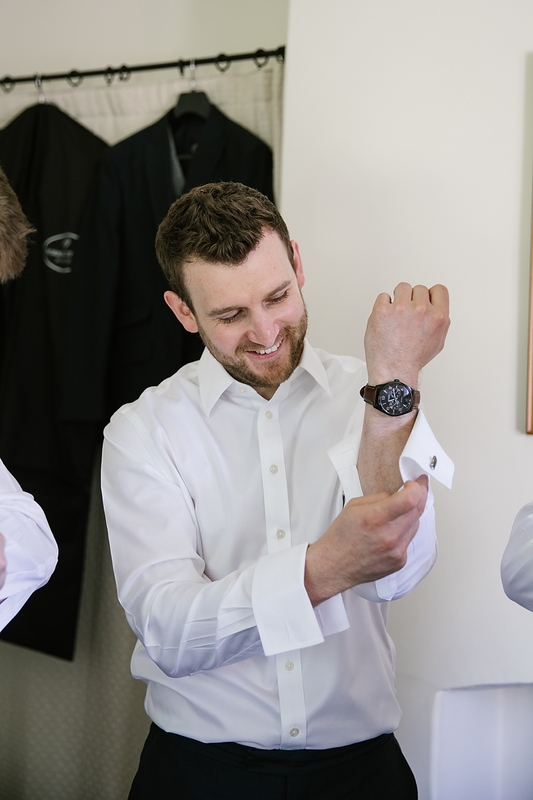 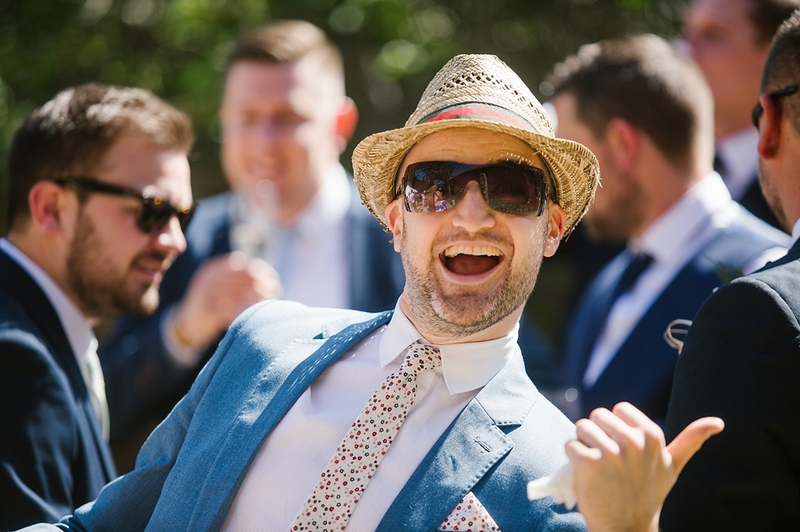 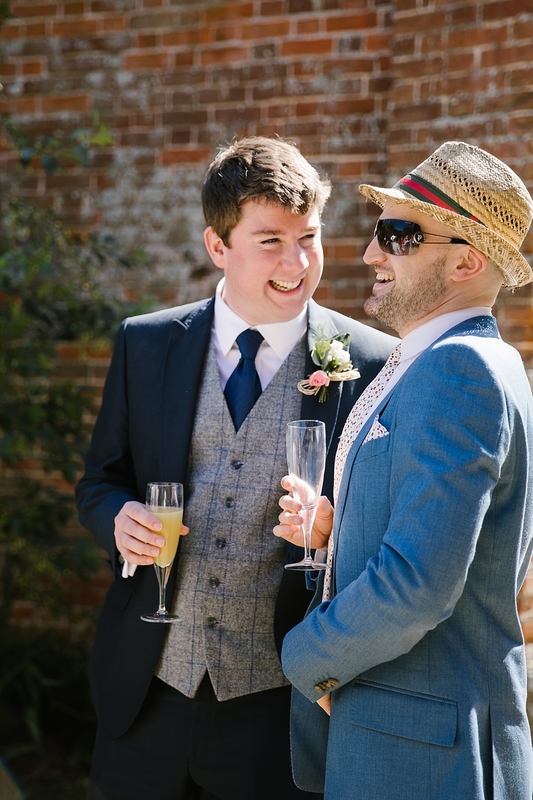 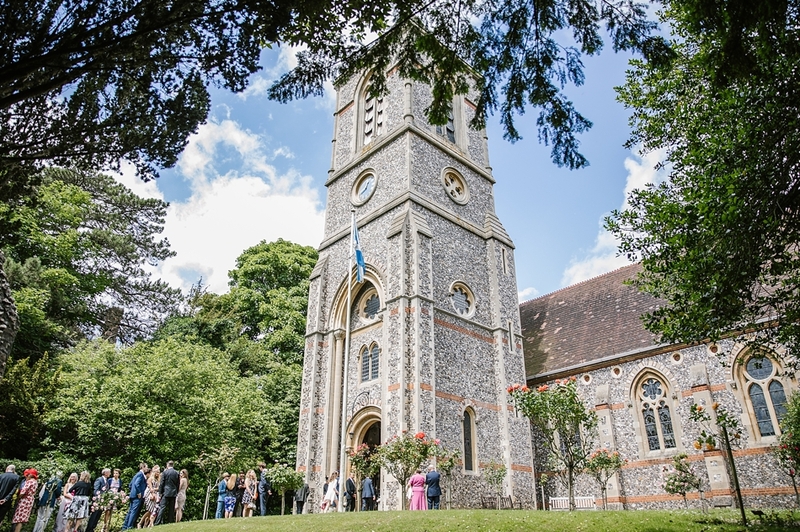 We had plenty of time for them to relax with their guests before we headed of for their bridesmaids and groomsmen shots and then some gorgeous couple shots in the grounds and country lanes. 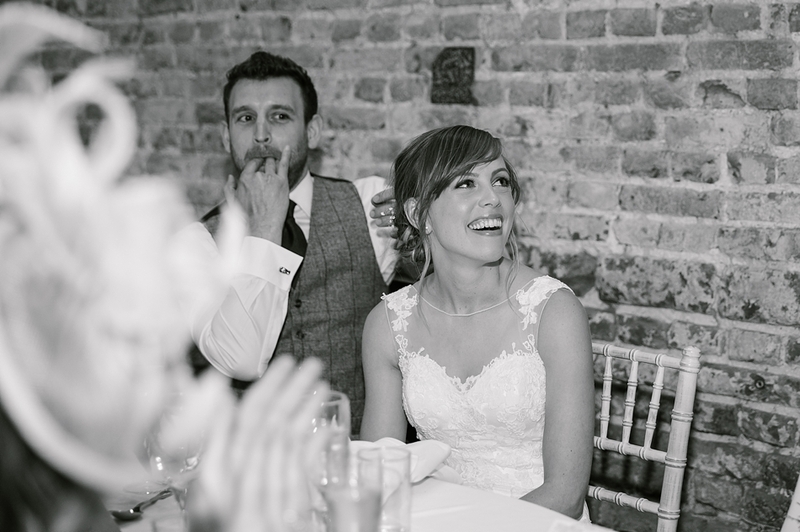 After a delicious meal (I couldn’t eat all mine!) 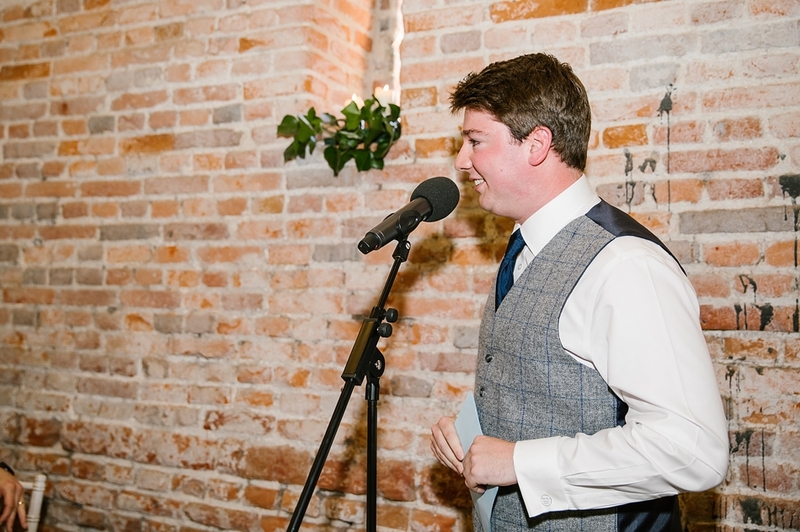 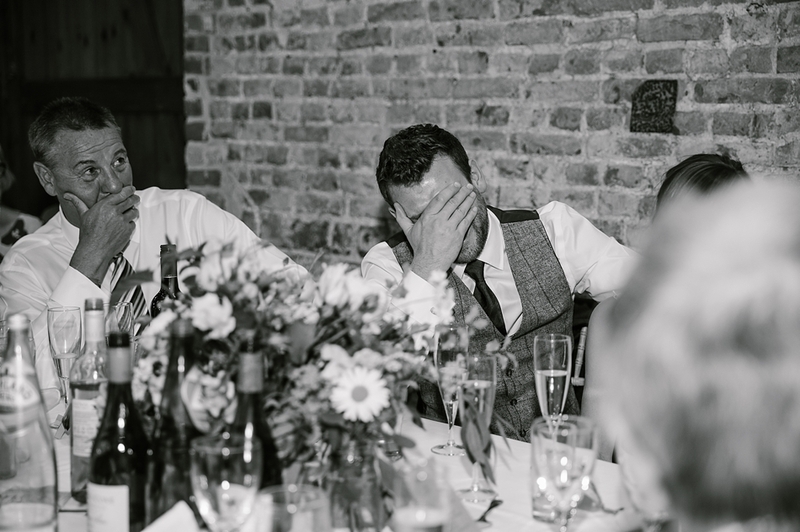 it was time for speech, the boys really went to town and had all the guests in stitches! 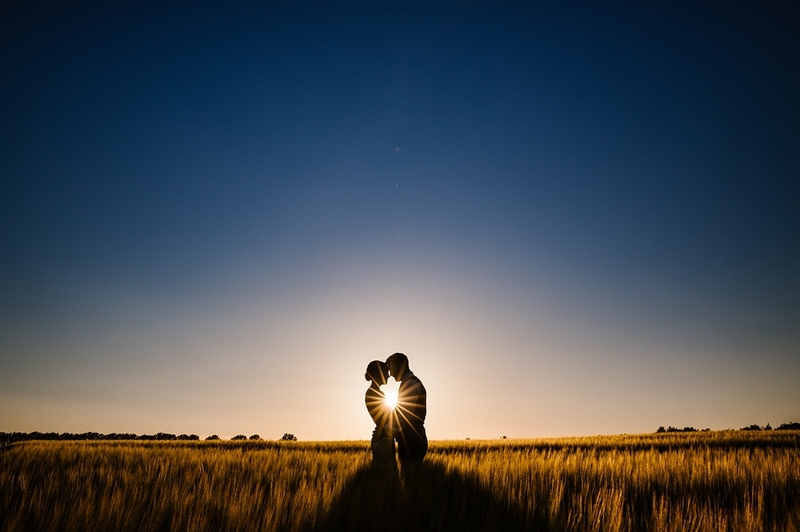 They had some time to play lawn games and then we snook off for some golden hour couple shots just before their first dance.